There is no cost, to the public, to print this public document. Kan We Help has requested a complete recording of the November 15, 2016 Board of Supervisors meeting. to post 9/27/16 Meeting Minutes. 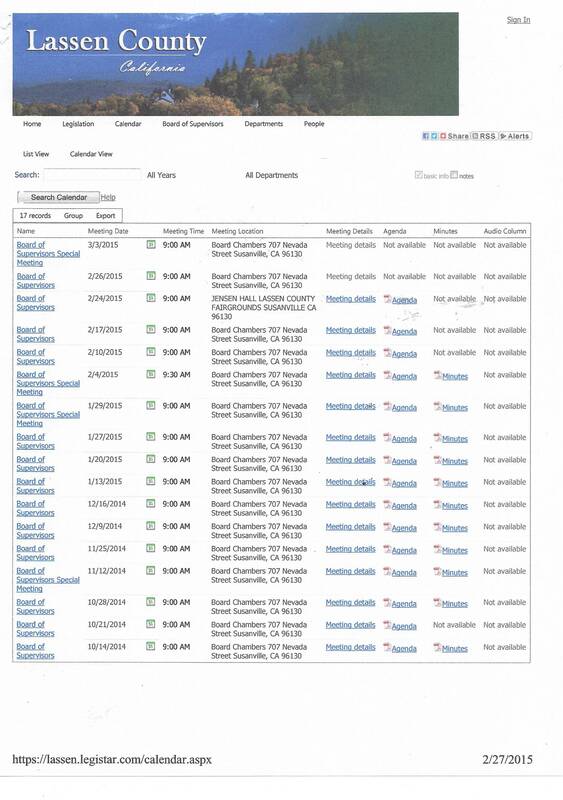 Kan We Help worked six months to get 1 1/2 years of Board of Supervisors delinquent meeting Minutes updated. 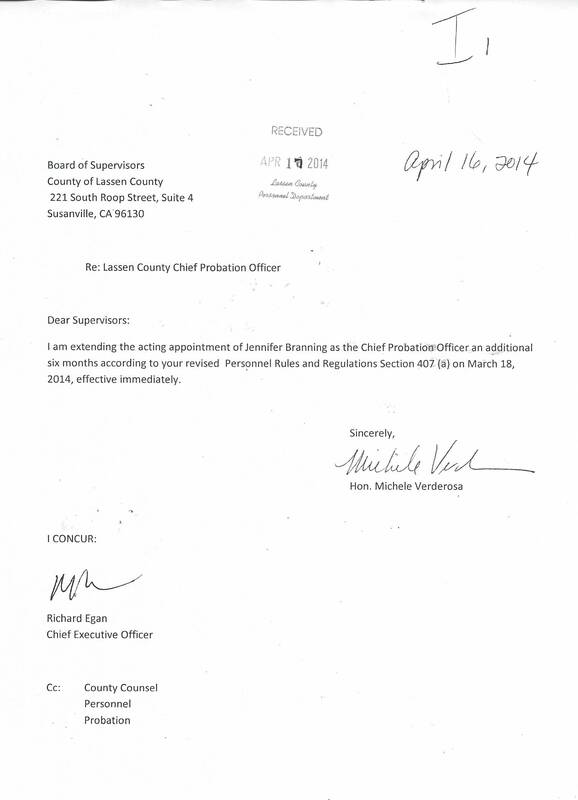 It was a six month process to convince the Lassen County Supervisors to force the Clerk of the Board to do her job. Nine of the Minutes could not be approved because Supervisors had left the Board and there no longer was a quorum to approve them. The County Clerk is the Clerk of the Board and is responsible for keeping the Minutes in all forms. This County Clerk destroyed the audio of a meeting where Supervisor Chapman threw a temper tantrum. 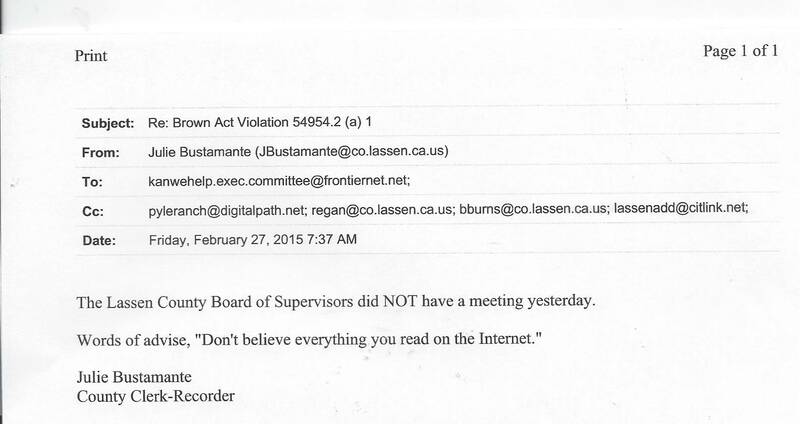 Kan We Help reminded Bustamante over and over that the Lassen County Public Improvement Corporation has not held their mandatory "ANNUAL" meeting yet. This corporation was formed to process a $4 million dollar loan to finance an office building and a community pool. When she does schedule this meeting, she puts two (2) meeting times on the Agenda? The regularly scheduled July 26, 2016 Board of Supervisors meeting has suddenly become a "SPECIAL" meeting. 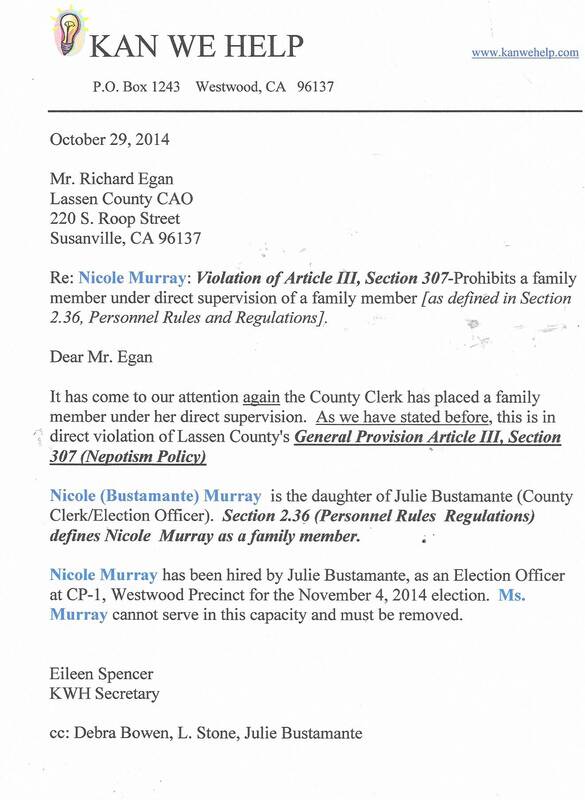 Julie Bustamante has confirmed that Chris Montgomery registered to vote and lied where he lived at the time. Montgomery committed willful perjury. JULIE FIXED THE PROBLEM, SO WHY LIE.......? 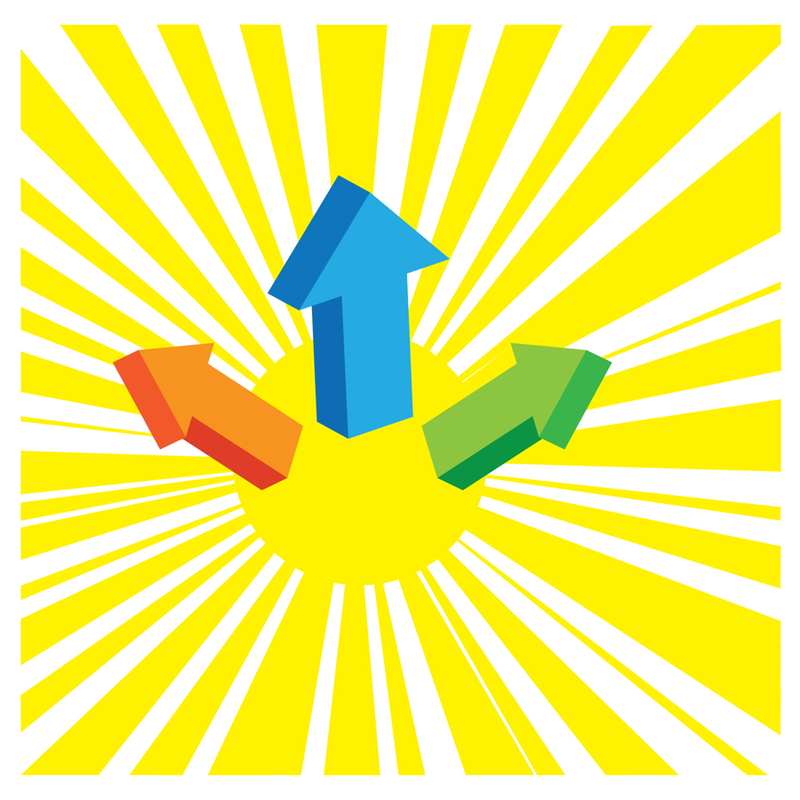 Kan We Help requested the Agendas, Minutes and annual corporations reports filed with the Franchise Tax Board and/or the IRS. 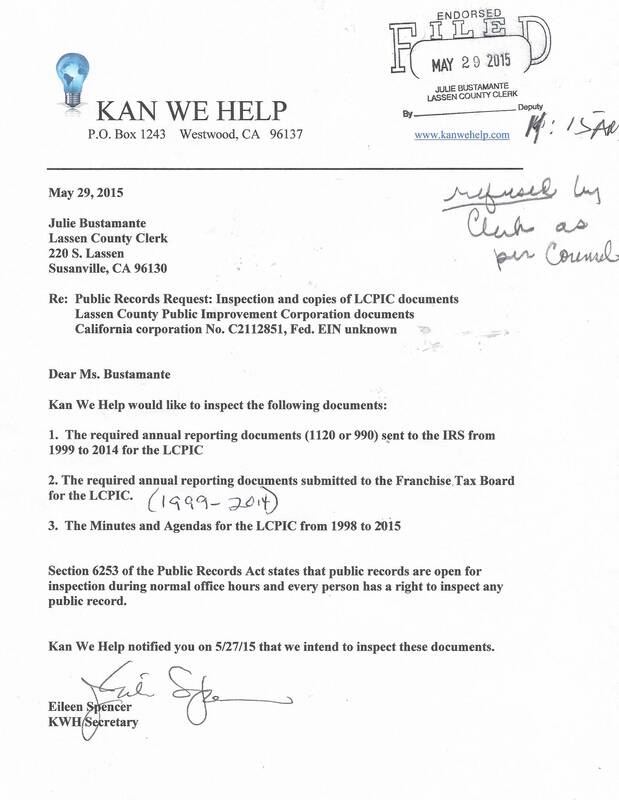 On May 29, 2015, the County Clerk was advised by County Counsel not to let KWH inspect these documents. 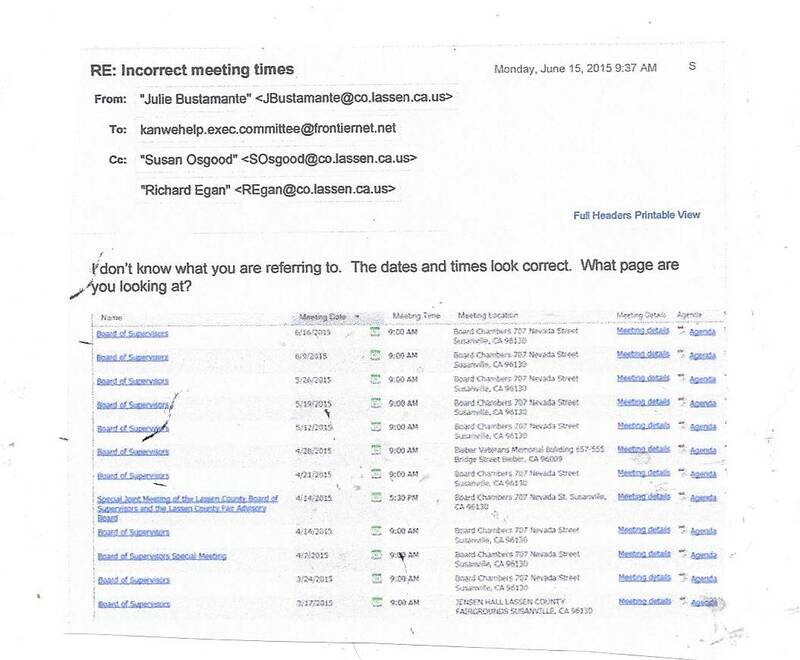 Bustamante, "So, take me to Jail"
This is the same elected official that received BOS approval to purchase a $27,000 Agenda/Minutes software and then spent $40,000. CAO Richard Egan did not have authority to approve the $13,000 increase. This is the same elected official that spent $20,000 remodeling her office and took Judge Sokol's leather chairs from his office. CAO Richard Egan did not have authority to approve the $20,000. In addition there was no budget for this expense. Kan We Help Secretary Eileen Spencer was notified that Bob Burns 700 Form, Schedule B (interest in real property) was ready to pick up. 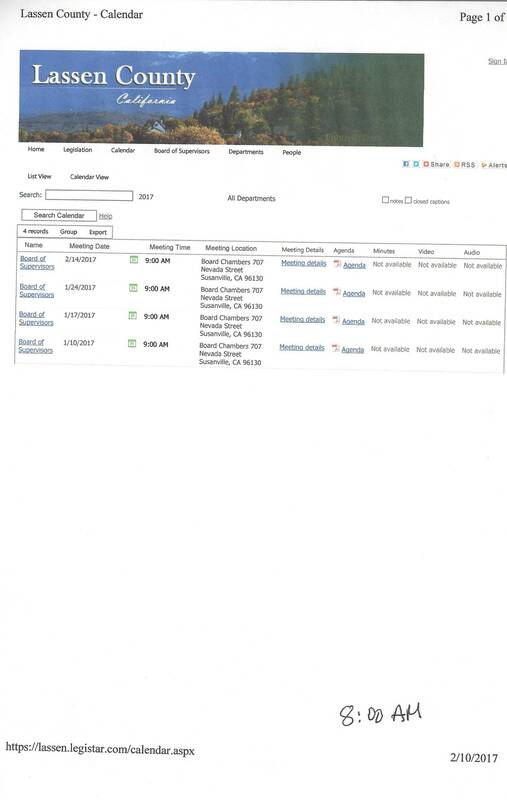 Kan We Help had submitted a Public Records Request for County Counsel Bob Burns and Deputy CAO Tony Shaw's Schedule B when it was discovered that they both owned real estate and had not disclosed it. Burns completed his Schedule B's back to 2006. When Ms. Spencer asked where Tony Shaw's forms were County Clerk Julie Bustamante went into a rage and verbally attacked Spencer until a clerk told her to "stop it". 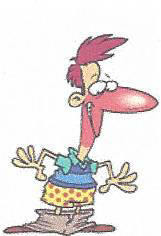 Bustamante walked back to her newly remodeled $20,000 office and continued to yell. 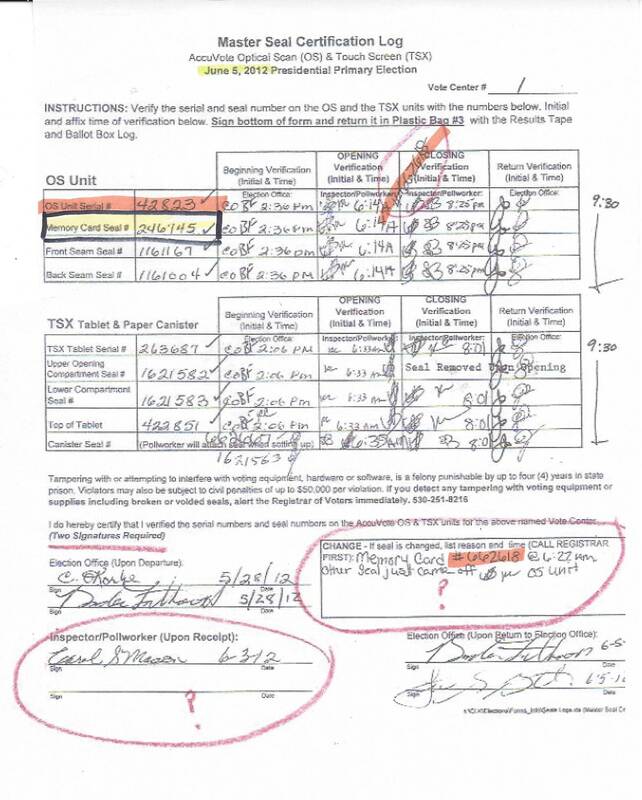 Public Works was instructed, by Richard Egan, to sign the contract, for this work, on March 3, 2015. There is no budget for this work ? Look who gets the WORK. Susan Osgood, Deputy Clerk of the Board (according to her payroll records), told the Board that Supervisor Hemphill and Supervisor Hammond did not attend the September 23, 2014 Board of Supervisors Meeting. 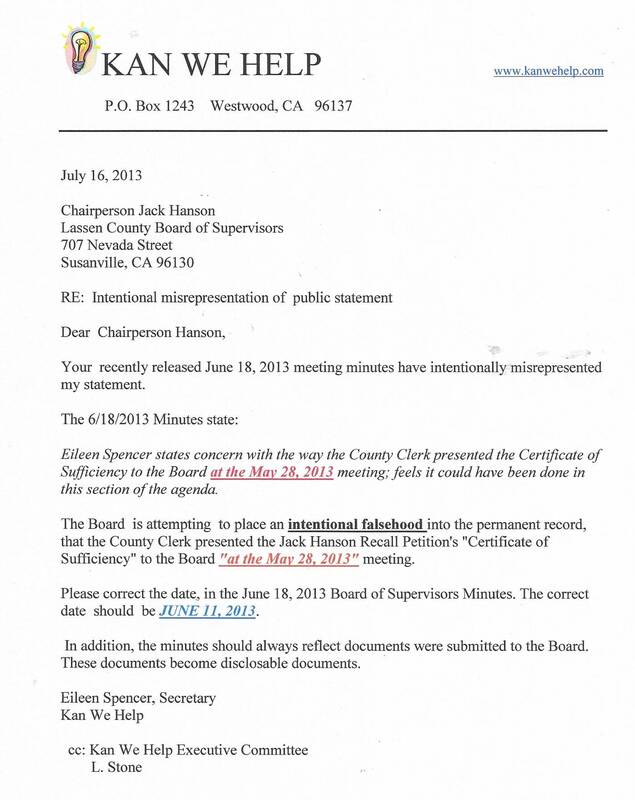 Supervisor Hammond knew he attended the September 23, 2014 meeting, but said nothing. Hammond voted to approve the Amedee Airfield Parcels RFP at the September 23, 2014 meeting. 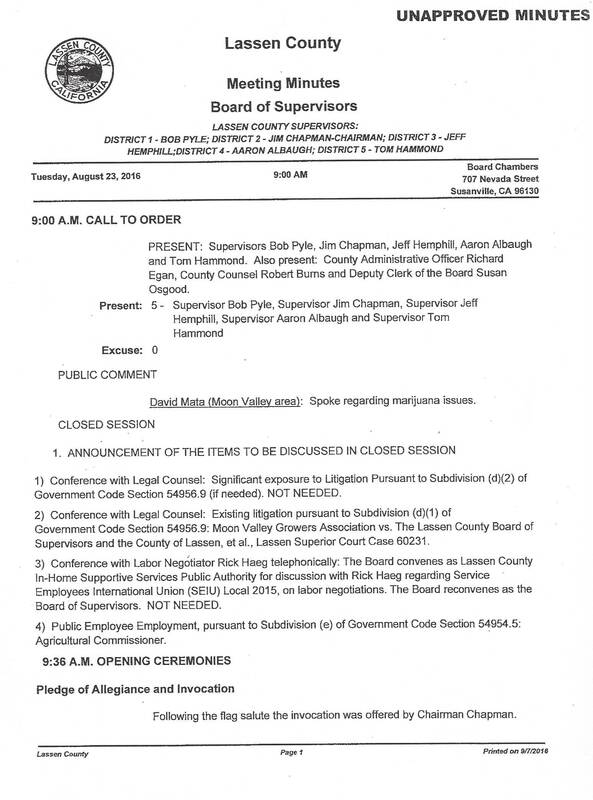 Hammond later admitted that he was secretly working with one of the Bidders (HSP Resources, LLC) on this public Request for Proposal so that HSP Resources (Pezzullo) would have an advantage in the bidding process. the 3,000 acres to HSP for $25,000. Eileen Spencer, KWH Secretary, returns the next day with a written request (even though one is not required) to view Osgood's 700 forms. Bustamante leaves her office to inform Spencer that she has ten days to respond and leaves for a moment to return with her response in writing. As Bustamante walks away, Spencer reminds her that she must produce the documents now. Bustamante, in her typical bad behavior uttered insults as she returned to her office. Susan Osgood and Julie Bustamante then spent 17 minutes creating the doctoring Schedule B's to attach to past 700 Forms. 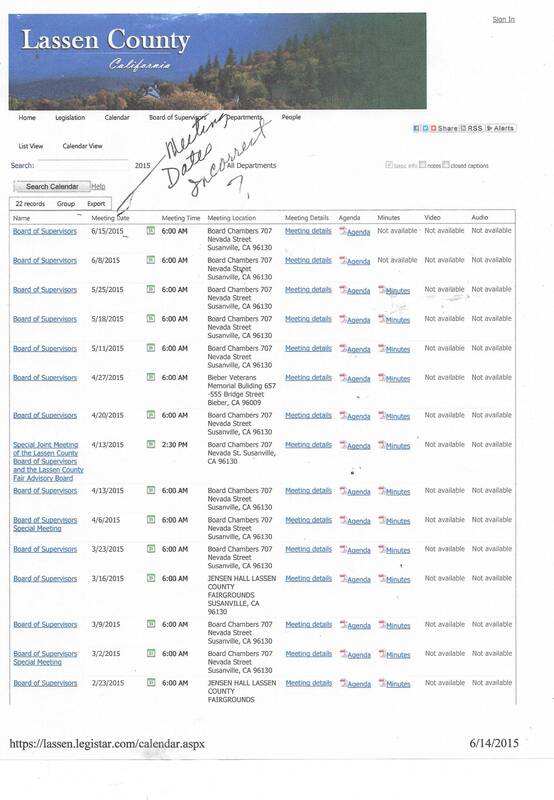 No Schedule B's were attached to 2008-2010.They evidently did not have immediate access to the old forms to doctor 2008-2010. The ink wasn't even dry yet ! the one page 2013 -700 form was there ? Ms. Bustamante stated that Susan Osgood was not required to file any schedules with her 700 Form. 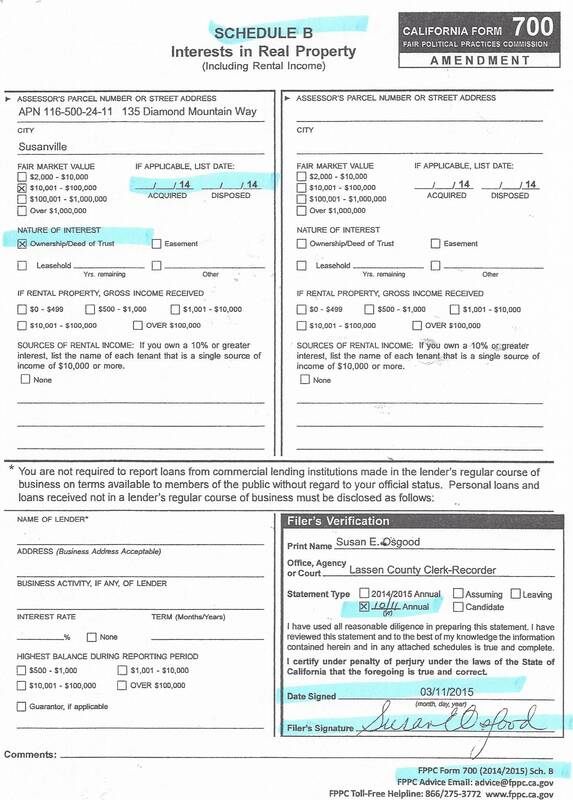 According to the Conflict of Interest Code Ms. Osgood is required to fully disclose all real property, investments, income received from business, all gifts over $460. 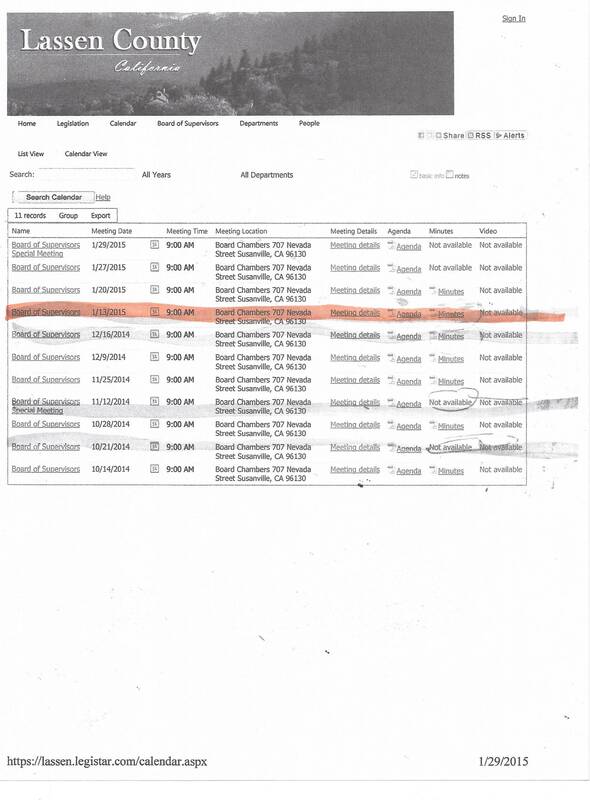 Ms. Osgood has checked the box, in Section 4, that she has "no reportable interest on any schedule"
After seven years of using County Clerk as a title on the Board of Supervisors Agendas, suddenly Julie Bustamante began using "County Clerk-Recorder" as the agenda title for the Boards Minutes. The Recorder position was moved from the Auditors office into the County Clerk's office on June 22, 1993 by Resolution 513. 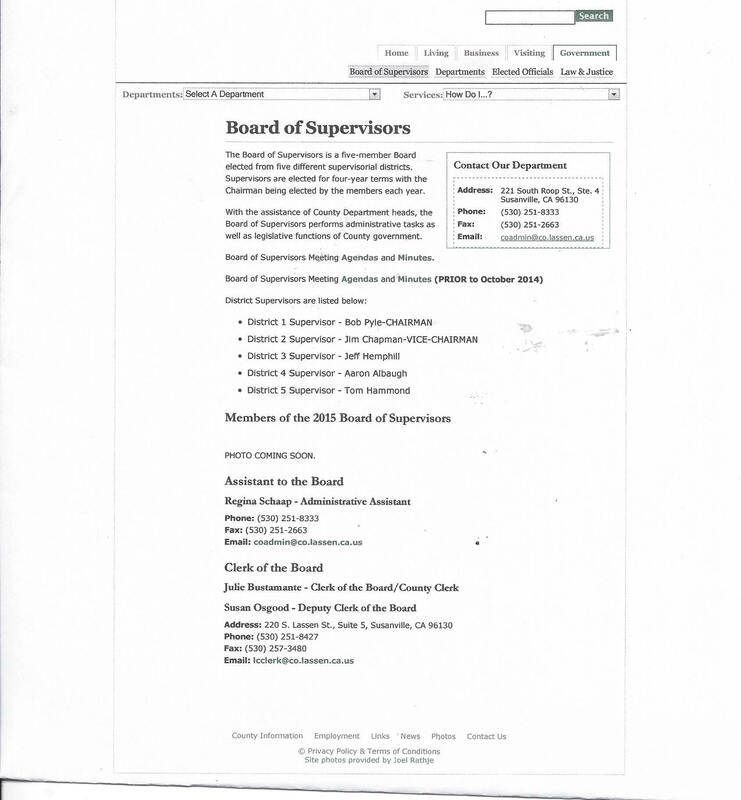 In 2007, the Supervisors moved the "Clerk of the Board" position into the County Clerk's office. 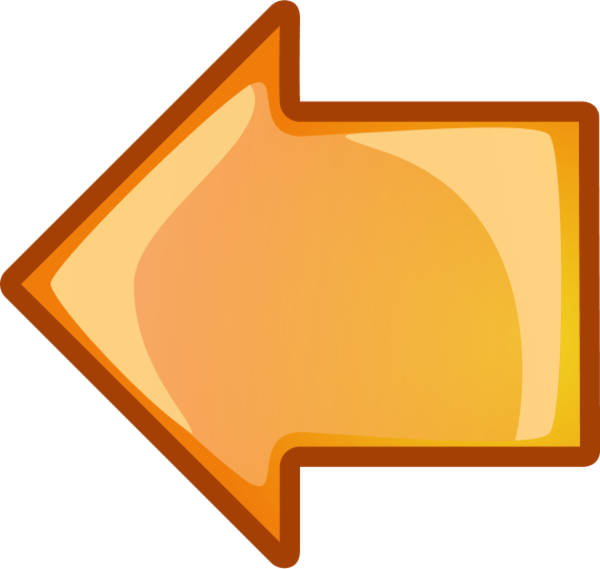 Government Code 25100 defines the duties of this position and leaves it to the Supervisors discretion on what department will be responsible. 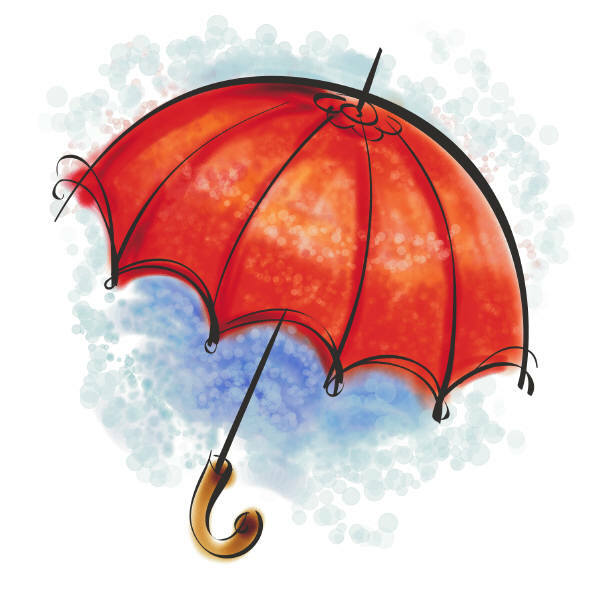 The FPPC stated that Susan Osgood, should be required to file a FPPC 700 Form. No 700 form was filed. 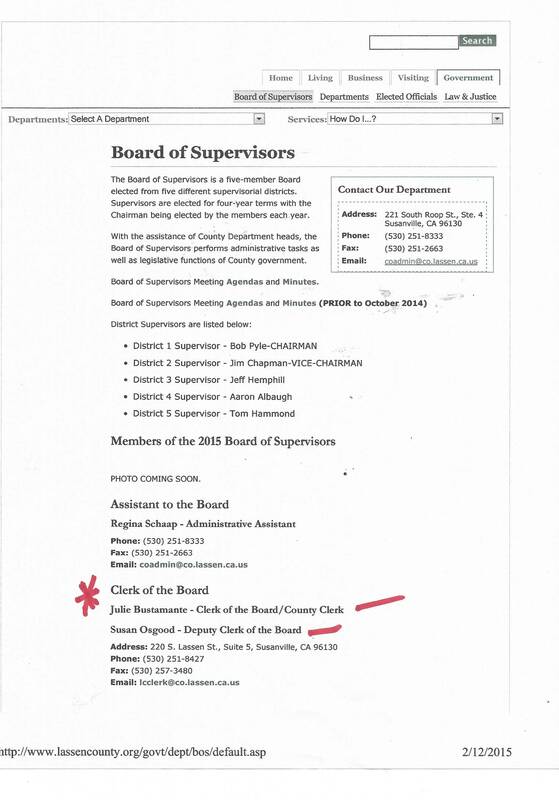 THE "DEPUTY CLERK OF THE BOARD"
"WHAT" HER JOB IS ? 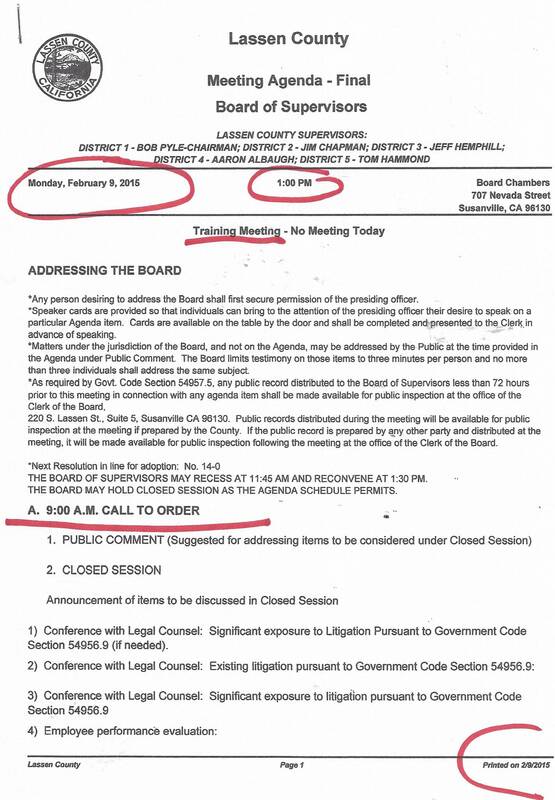 On February 9, 2015, Bustamante posts a phantom meeting agenda. The was a Training Meeting? The County Clerk/Clerk of the Board Julie Bustamante has done it again. 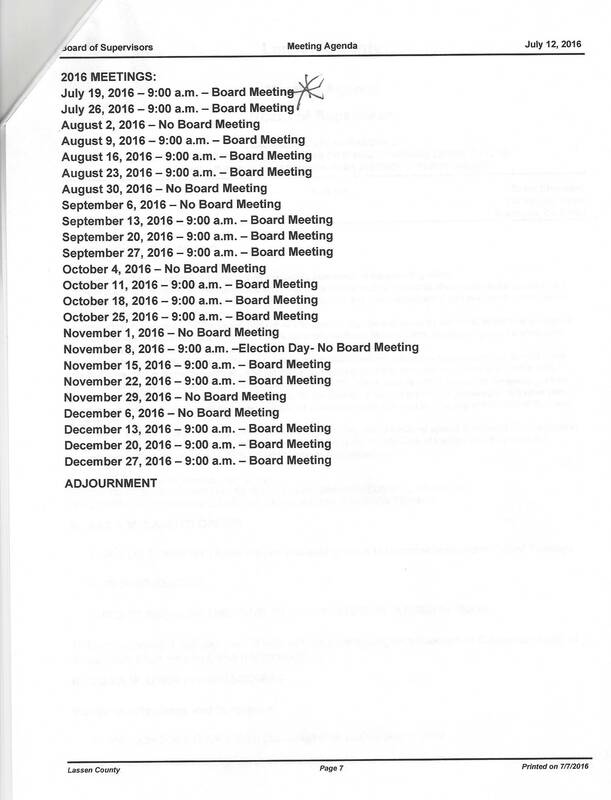 She attempted to post delinquent April 29, 2014 Board Minutes that have not been approved by the Board. She tried this with the January 13, 2015 Minutes last week and got caught. NOW SHE IS TRYING IT AGAIN? NOTE: April 22, 2014 Minutes have not been approved. June 12, 2012 and June 19, 2012 Minutes have not been approved. September 9, 16 and 23 2014 Minutes remain delinquent. January 20, 2015 Minutes on the January 27, 2015 Agenda. Then, she posted the January 13, 2015 to the website on January 29, 2015. PROBLEM: the January 13, 2015 Minutes have never been approved. Was she using the January 13, 2015 BOS minutes as a coaster...??? Susan Osgood performs, full time, the duties of Clerk of the Board. 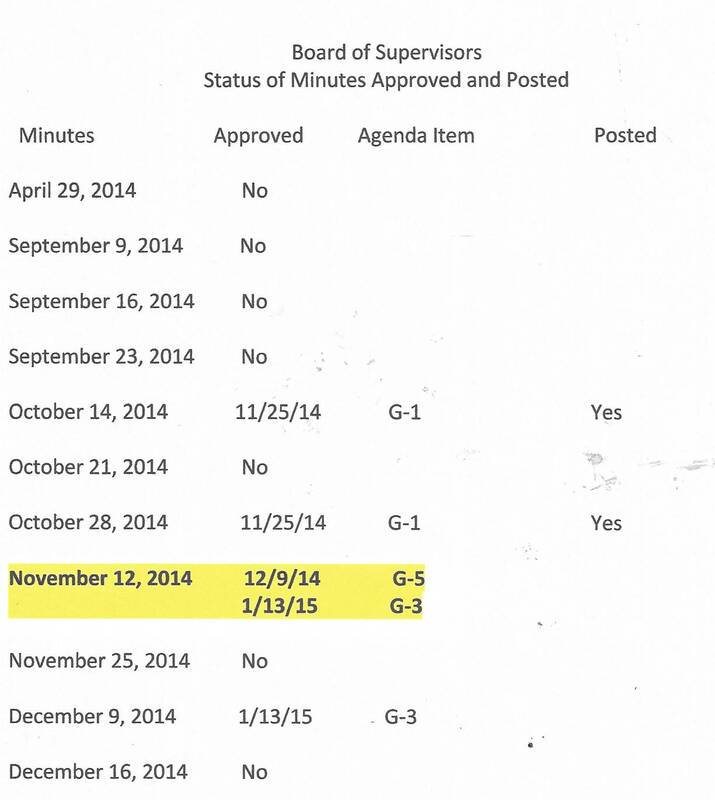 Sooooooo as a response to KWH's plea, Bustamante placed the January 20, 2015 Minutes on the January 27, 2015 Agenda. 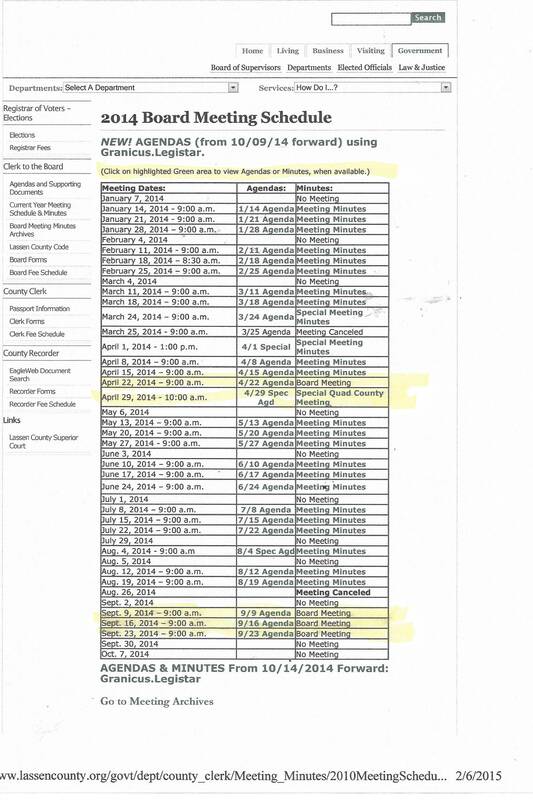 Supervisor Hammond placed the "Assessment Appeals Board" on the November 25, 2014 Agenda to better understand why there are so many complaints filed. Bustamante was late for the meeting and when she arrived rudely pushed County Assessor away from the podium. Now, Bustamante whines about not having staff or money to handle the tax appeals. 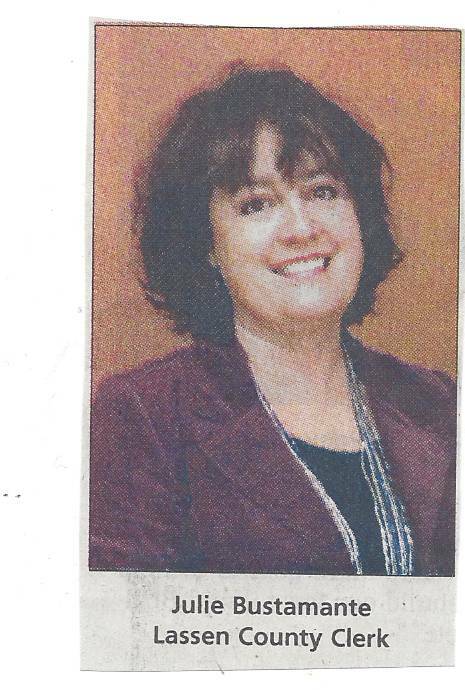 She claims she had to hire her friend Theresa Nagel to clerk the Appeals Board. Theresa Nagel built herstorage units at Eagle Lake within walking distance of her 24 year old home that was being taxed as a vacant lot. 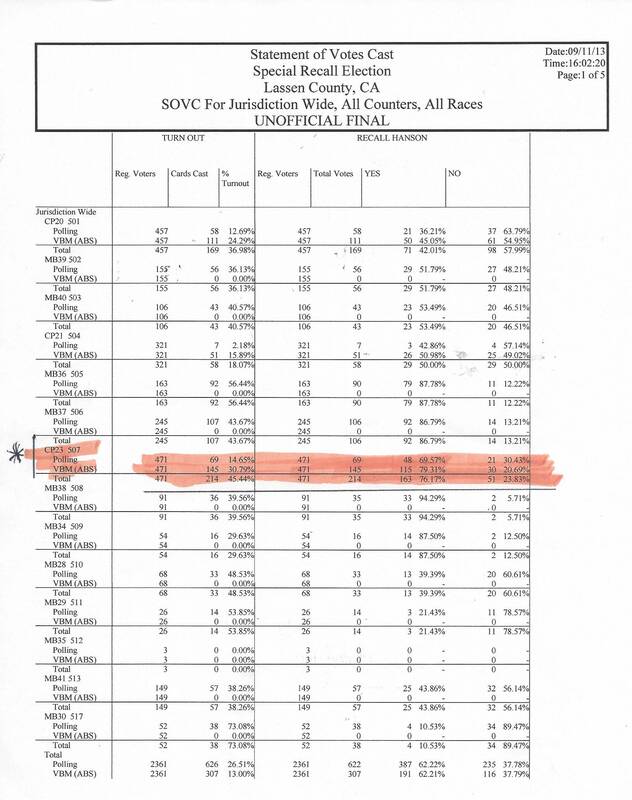 In 2002, Eileen Spencer was fired because she objected to Nagel and Bustamante using "White-Out" on the ballots. 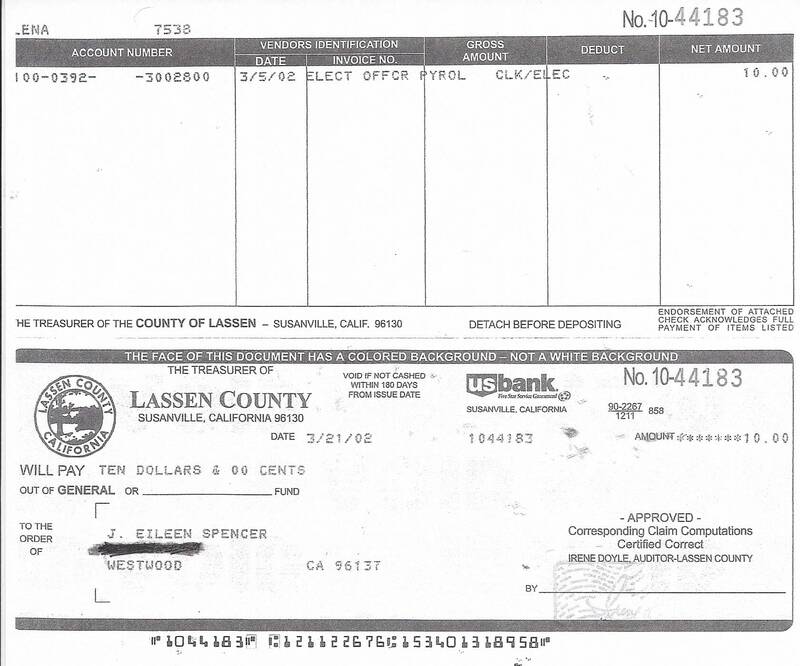 Theresa Nagel paid Spencer for 1 day.Spencer never cashed the check. 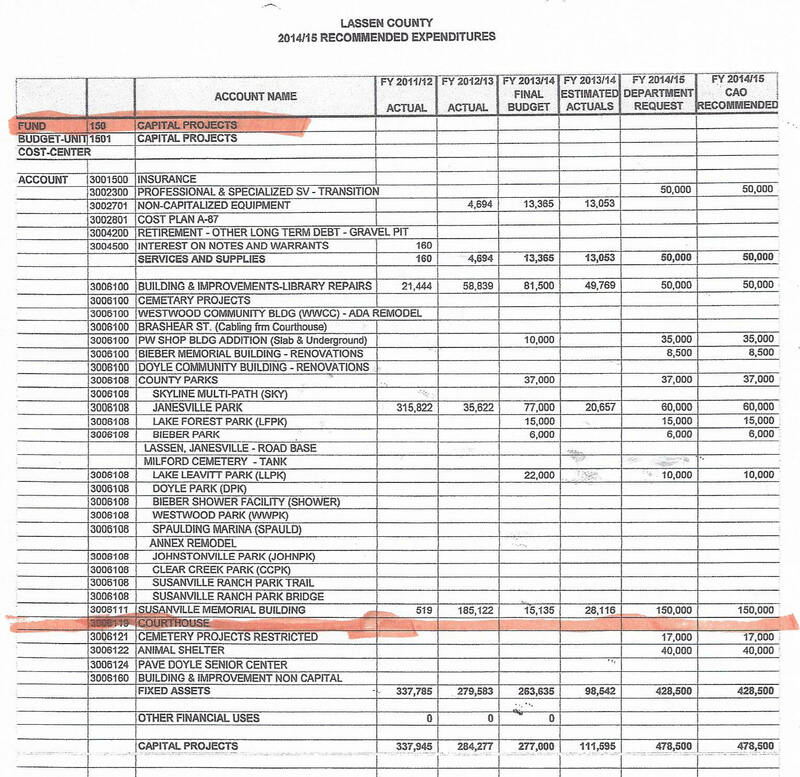 County Clerk Julie Bustamante asked the Supervisors, on July 23, 2013, [for a "one-time" cost of $27,800] to purchase a new agenda/minutes software program. Her request was approved. In 2002, Julie Bustamante's daughter, Nicole, was instructed to place the election audit tape in her purse. Precinct workers were told to put white out on ballots and pencils were given to voters for marking their ballots. Theresa Nagel was sued in 2006 for election improprieties and did not run for re-election. Kan We Help will be filing a formal complaint with the California Secretary of State if this is not corrected. 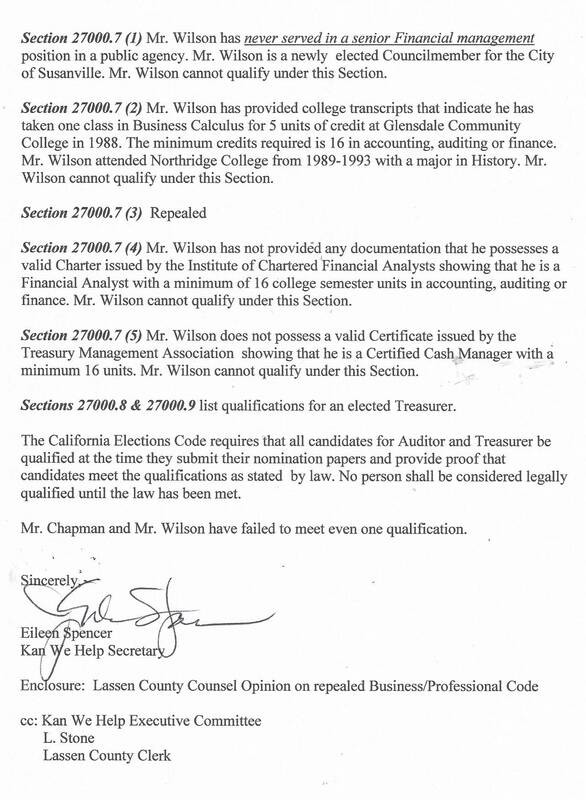 County Counsel's sudden opinion on 5081.1 (a) does not help Jim Chapman qualify. She simply confirmed a known fact that California does not demand that a County Auditor be a CPA after January 1, 2010 and that 5081.1 was repealed in its entirety. Unethical or is she just a Cheater? 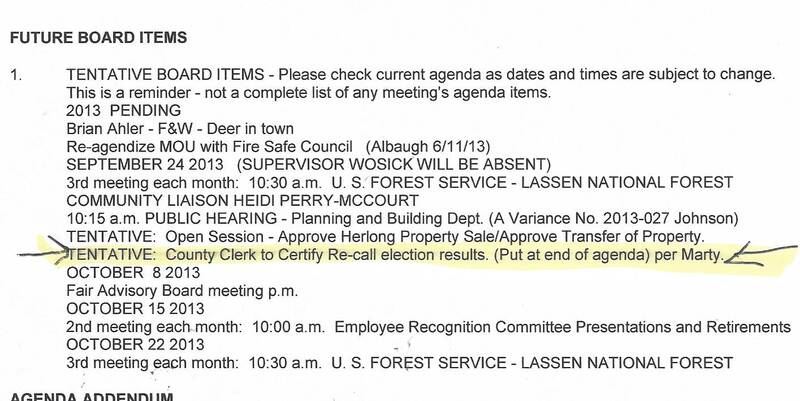 Lassen County Clerk prepares the Board of Supervisors Agendas and "ethically" should have included the election results on the September 17, 2013 Board of Supervisors Agenda. 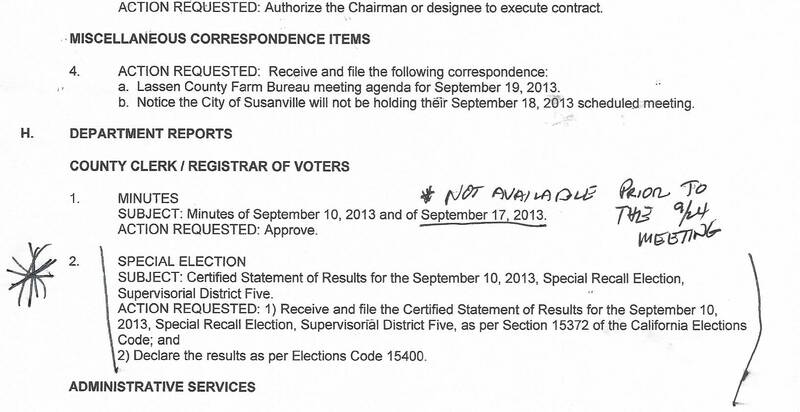 The only thing that prevented Bustamante from placing the election results on the September 17, 2013 Board of Supervisors meeting was BUSTAMANTE. 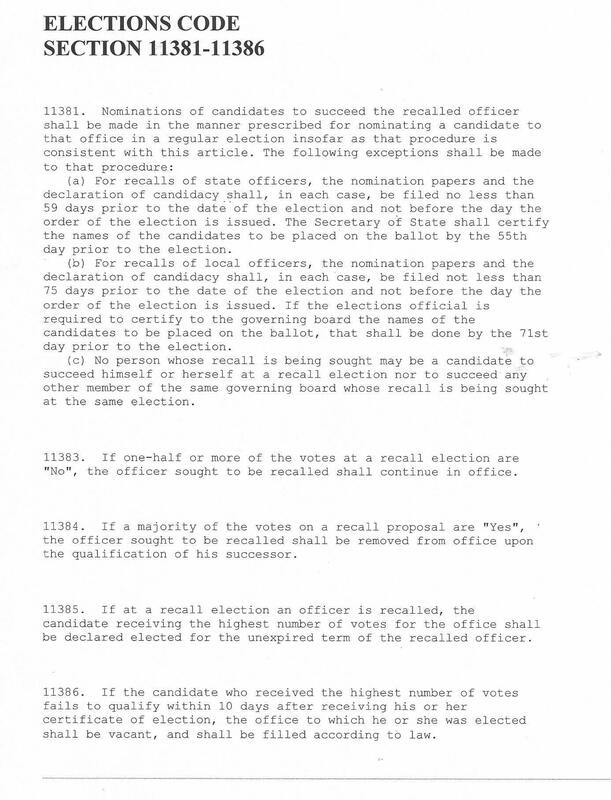 Election Code 11384 states if the majority of the votes on a recall election are "YES" (62.22% is still a majority) the officer sought to be recalled shall be removed UPON THE QUALIFICATION OF THE SUCCESSOR. The "QUALIFICATION" requirement means that the Board of Supervisors must vote to accept the election results. After Bustamante posted her September 11, 2013/ September 13/2013 UNOFFICIAL FINAL she waited to issue her Final/FINAL on September 16, 2013. If Bustamante had placed the election results on the Board of Supervisors September 17, 2013 Agenda as the first Agenda item, Jack Hanson would have been removed, Tom Hammond would have been issued his "Certificate of Election" and administered the Oath of office. The 9/24/13 Board of Supervisors Agenda places the Election Results after items requiring votes. Will Hanson have enough class to recuse himself from any voting? He didn't at the 9/17/13 meeting. 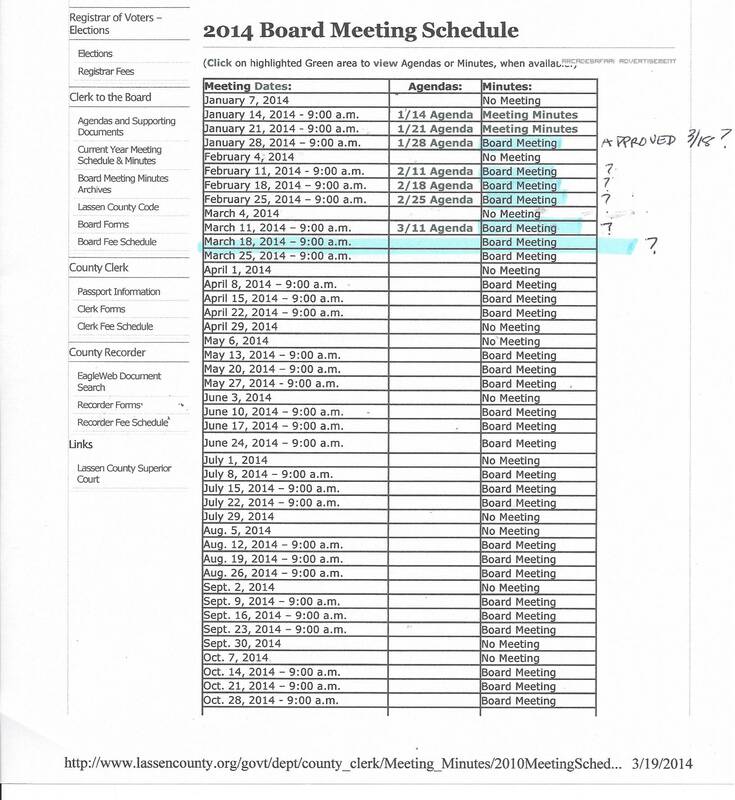 Martin Nichols even tried to put it as the last Agenda item on the 9/24/13 Agenda? Jack Hanson cannot give a two week notice to step down, but Bustamante can. Nothing Jack Hanson signed on September 17, 2013 is valid. If he refuses to step down he can be removed by the courts. Is this what he wants? 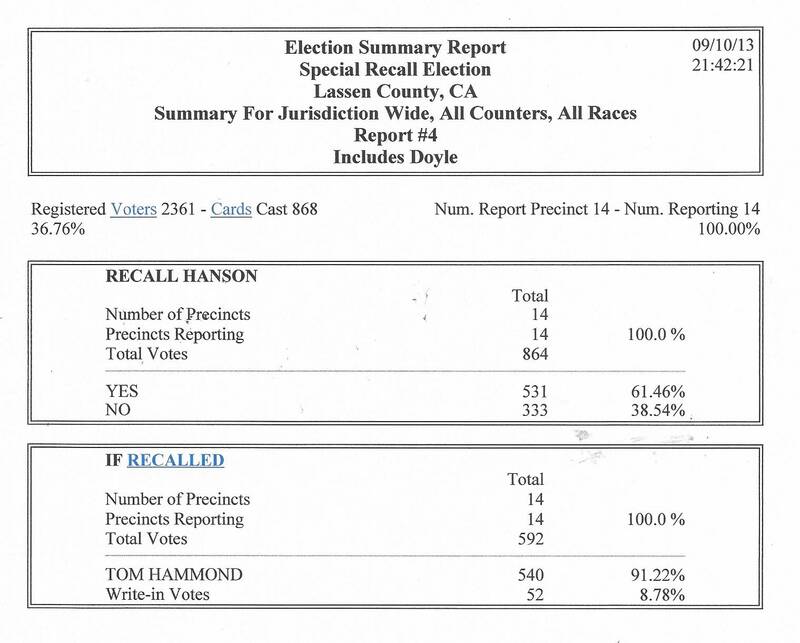 Lassen County Clerk was forced, by the Court, to hold the Jack Hanson Recall Election. 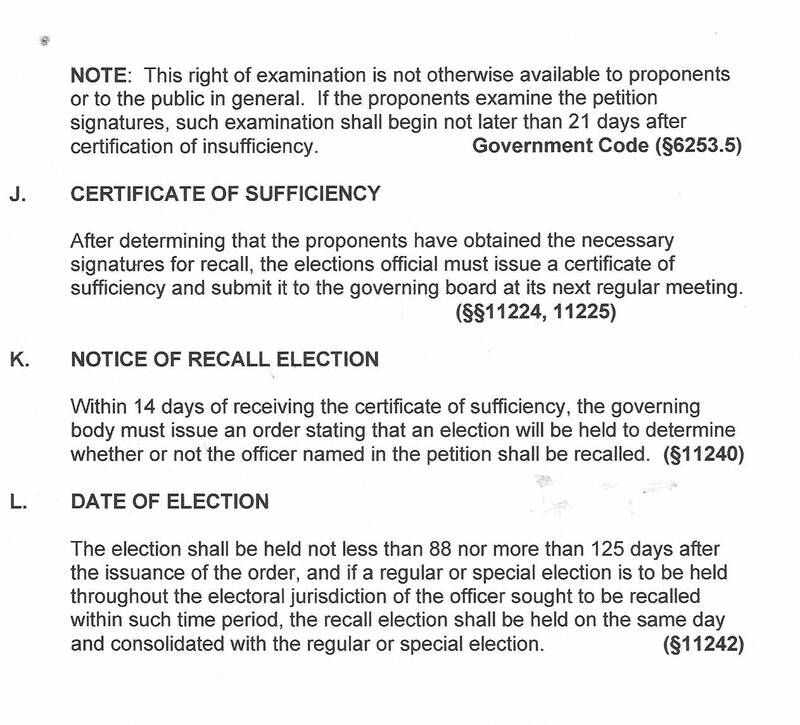 A reputable County Clerk would have placed the recall election Certification on the September 17, 2013 Board of Supervisors Agenda (Bustamante is also the Clerk of the Board and is responsible for the Agendas) This would have allowed Tom Hammond to take the Oath of Office at the 9/17/13 Board of Supervisors meeting. She and Jack Hanson had another agenda. Bustamante hides behind the fact that this is HER POLICY. 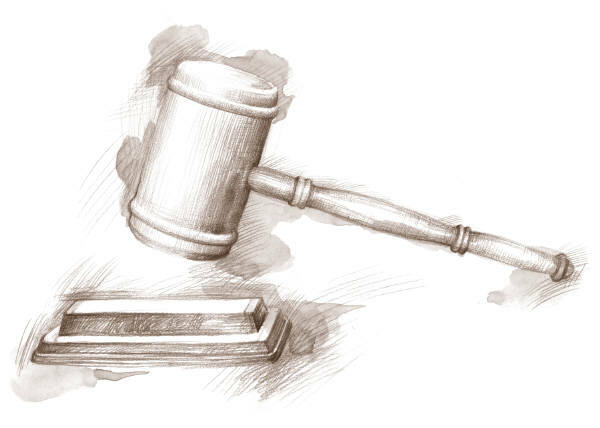 ....approve no more petition recall signatures than the minimum set by the court. Bustamante lost a Writ of Mandate that forced her to do the right thing. ....place her daughter as a Doyle precinct worker when County Rules prohibit this. Bustamante's "policies" are not illegal. The Secretary of State allows her enough rope to hang herself. Bustamante's "POLICIES" are not illegal, but they don't get her re-elected either. but put 9/13/13 on the document. Lassen County Clerk Julie Bustamante places her daughter, Nicole Madden, at one of the Recall precincts in District 5. She says she is only a "Trainer". Veteran Poll workers are working at this precinct. There is no need for a "Trainer". 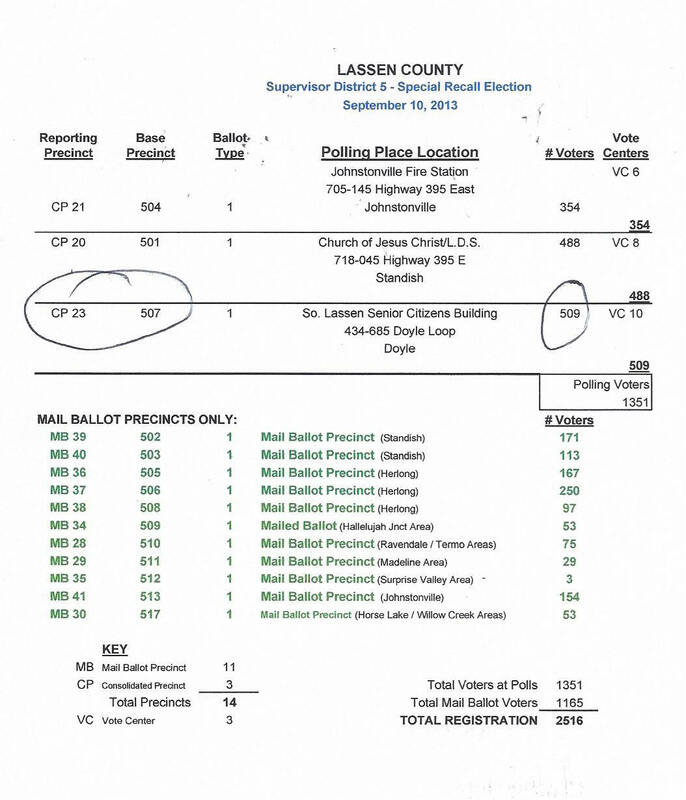 Nicole will be handling ballots for the Jack Hanson Recall Election on September 10, 2013. In 2002,Nicole tried to hide the AccuVote Audit tape in her purse. When told that she couldn't do that, she tried to hide it in the case for the voting machine. Eventually she was forced to place it in the bag with the ballots and it was sealed. 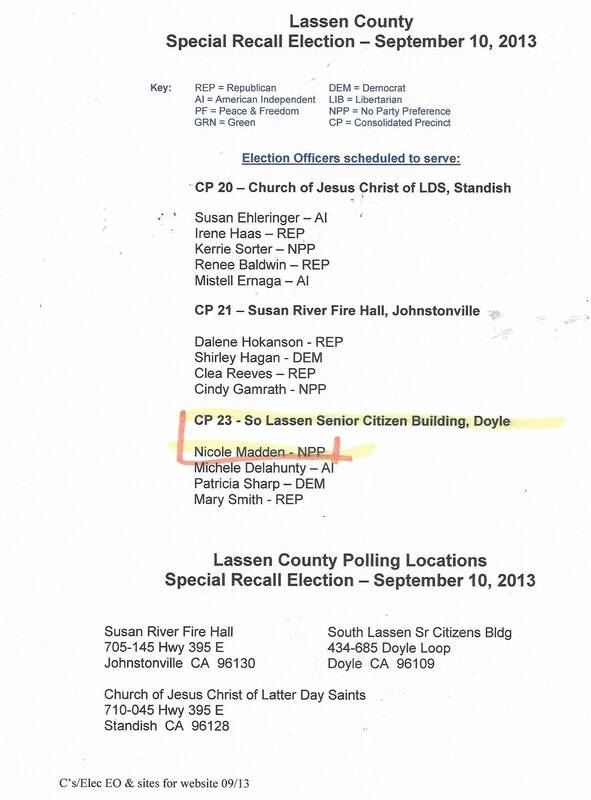 In 2012, Nicole was placed, at the Westwood precinct, where a seal on the AccuVote machine just "fell off" and was replaced. Attempts to Change the Date, in the Minutes, "When"
In 2006, eighteen County Election Officers were sued over abuses with the Diebold Voting machines. 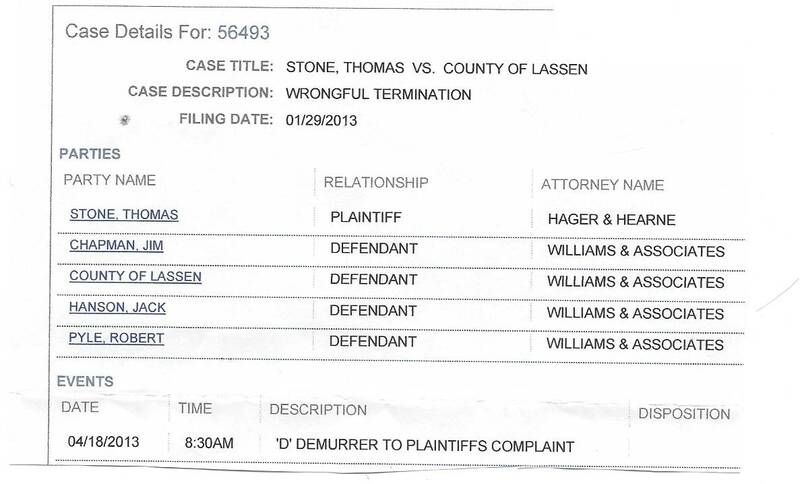 Lassen County Clerk Theresa Nagel was included in this lawsuit. Theresa Nagel was up for re-election and chose not to run again. Julie Bustamante, Deputy County Clerk ran for this position and won. 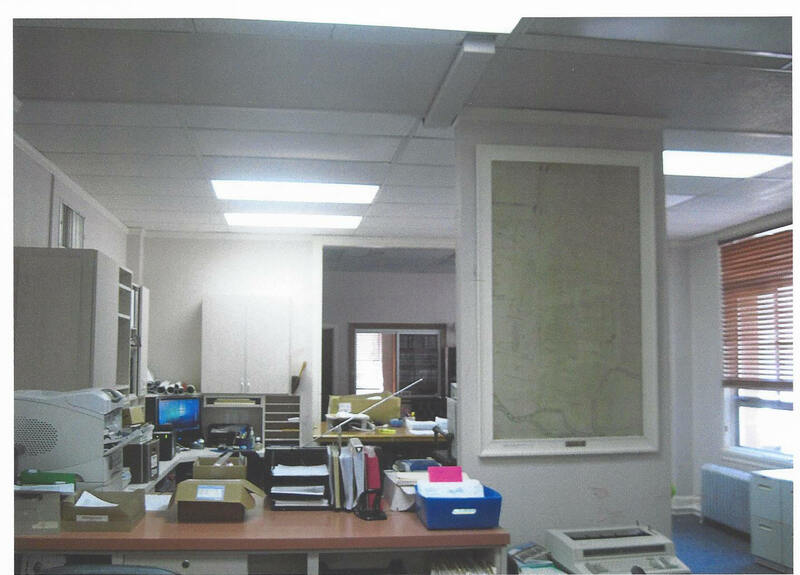 County Election Officials are normally separate from the County Clerk's office but in Lassen County the election duties are combined within the County Clerks office. 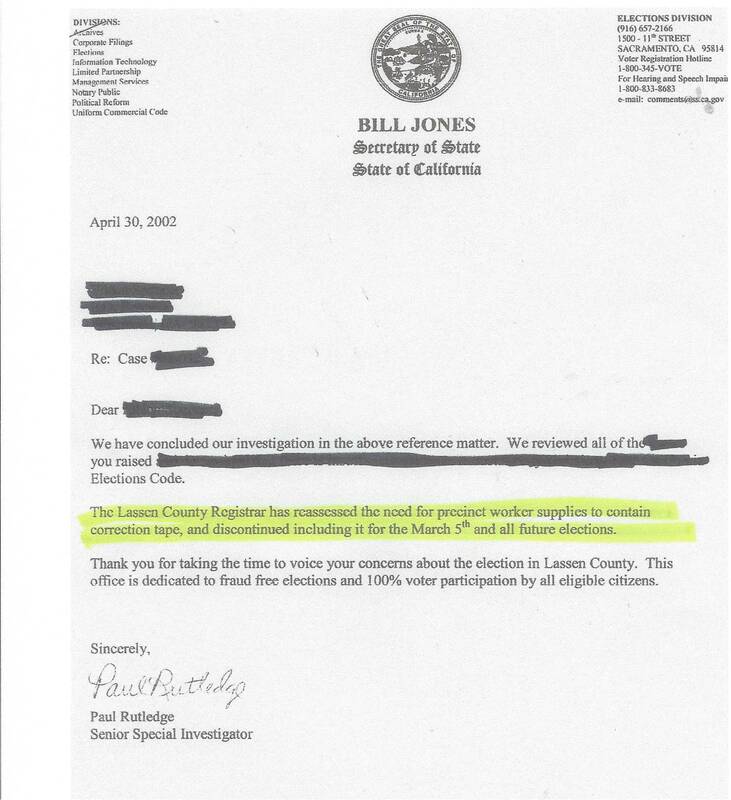 Election laws are set by the State of California and any criminal activity reported by the Secretary of State is handled by the Attorney General. However, indiscretions/complaints are monitored by the Secretary of State. There is a process to file a complaint when there is evidence of a failure to follow Election Codes. *The Secretary of State will always handle all complaints "in-house". The public will not know about any discipline or action by the Secretary of State, unless it is immediately evident the Election Official has corrected any indiscretion. Serious complaints, such as "tampering" are always kept confidential. The Secretary of State, regardless of political party, quietly handles the incident "in-house" to protect the Secretary of State and the County Election Officer. The illusion of fair elections must be maintained at all times. The Secretary of State is no different than any other government agency with a limited budget. Local District Attorneys pick and choose which criminal cases they can afford to prosecute. It is no different with the Secretary of State. Lassen County Clerk Julie Bustamante knows very well that she is protected by the Secretary of State if she strays from complying with California's Election Codes. The only thing Bustamante risks is a Civil lawsuit and/or Recall. 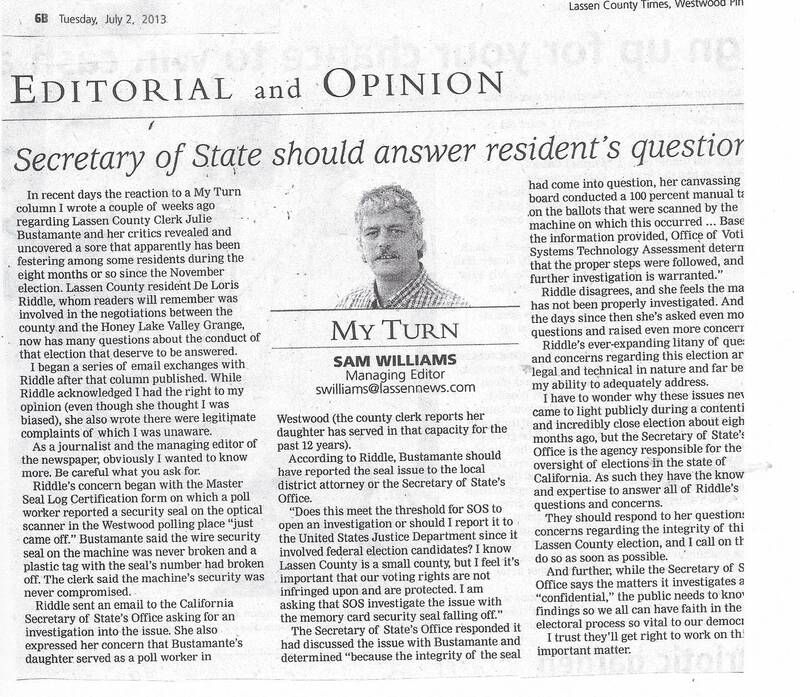 The Secretary of State has a HANDS OFF position on local election issues and depends on the public resolving serious non-compliances with private lawsuits or recall elections. 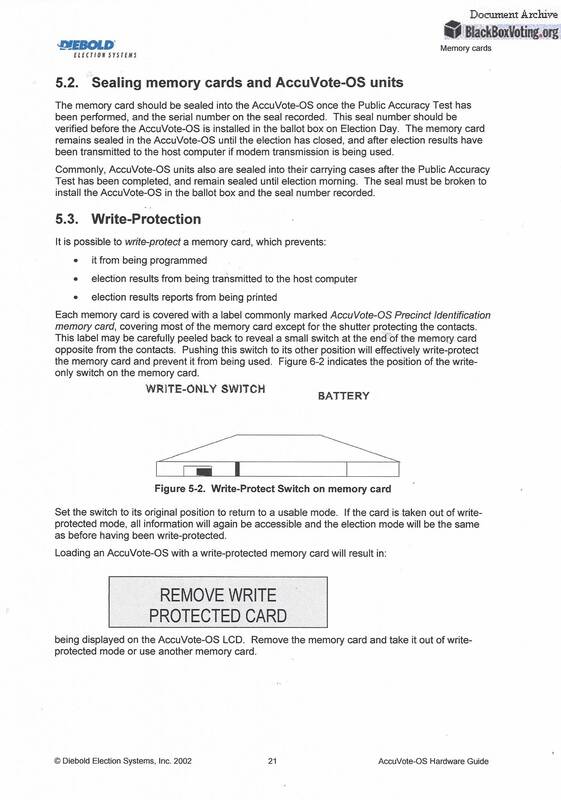 In the 2012 Presidential and Supervisorial election, Julie Bustamante claims that she followed instructions and written procedures when a "memory card seal" fell off. The information on this report is incorrect. The Memory Card assigned to this voting machine is serial number 246745. It was erroneously replaced with Memory Card serial number 662618. IT IS THAT SIMPLE. FLAGRANT TAMPERING.......WHY? The voting machines are sent home with a poll worker of her choice. Replacing the Memory Card goes undetected until the numbers are checked first thing in the morning at the precinct. No memory card "seals" are available at any Precinct. While most County Election Officials would not risk exposing personal agendas in their elections, Bustamante has shown that she is extremely good at this. She learned all the tricks of the trade from her previous Boss. 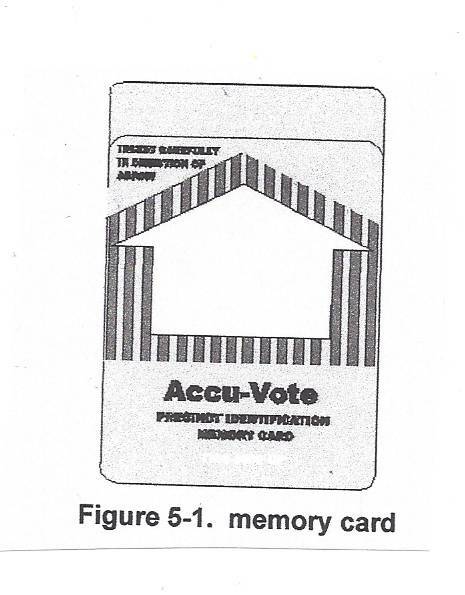 In the 2002 Lassen County Election, the Memory card serial numbers after the election did not match any Memory Card serial numbers that had been assigned to the Accuvote machines. A complaint was filed with the current Secretary of State and ABSOLUTELY NOTHING WAS DONE. This complaint also included White Out being used on ballots. The Secretary of State told Theresa Nagel she could no longer use White Out on the ballots but dismissed the Memory Cards being changed ? In the 2002 election, Julie Bustamante's, High School age daughter Nicole, attempted to place the voting audit tape in her purse....Accuvote carrying case........ and finally was forced to place it in the clear plastic bag with the ballots. State Procedure requires Ms. Bustamante to remove the voting equipment if a seal has been compromised. Ms. Bustamante determined that a seal falling off did not necessitate her to follow the protocol. 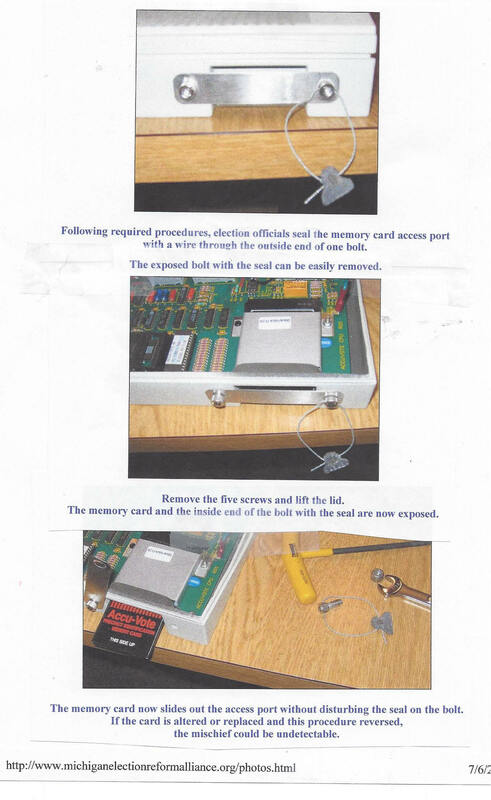 Did the seal fall off PRIOR TO THE POLLS BEING OPENED or was the Memory Card replaced with "another" erroneous card? ........AND THE MEMORY CARD SEALS ? 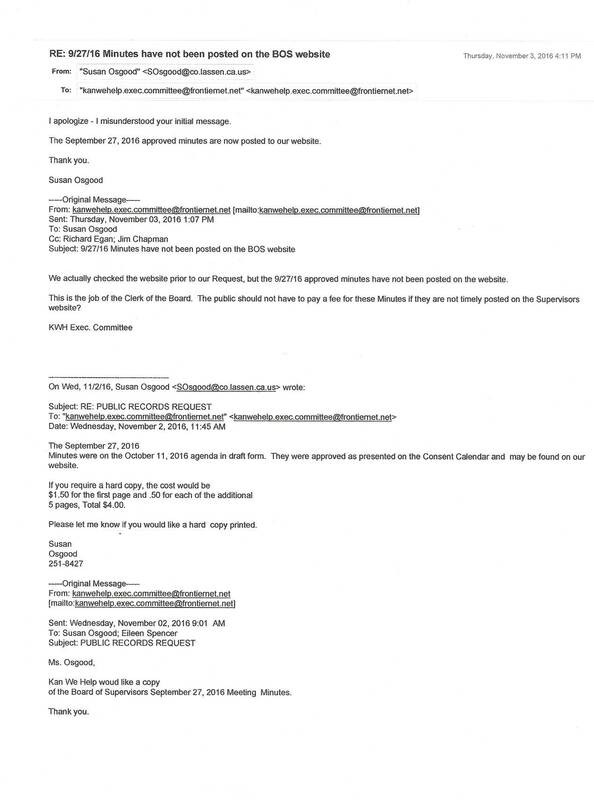 Bustamante also tells the Secretary of State that the AccuVote machines go home with Poll Workers. Can Bustamante Conduct A Fair Election ? 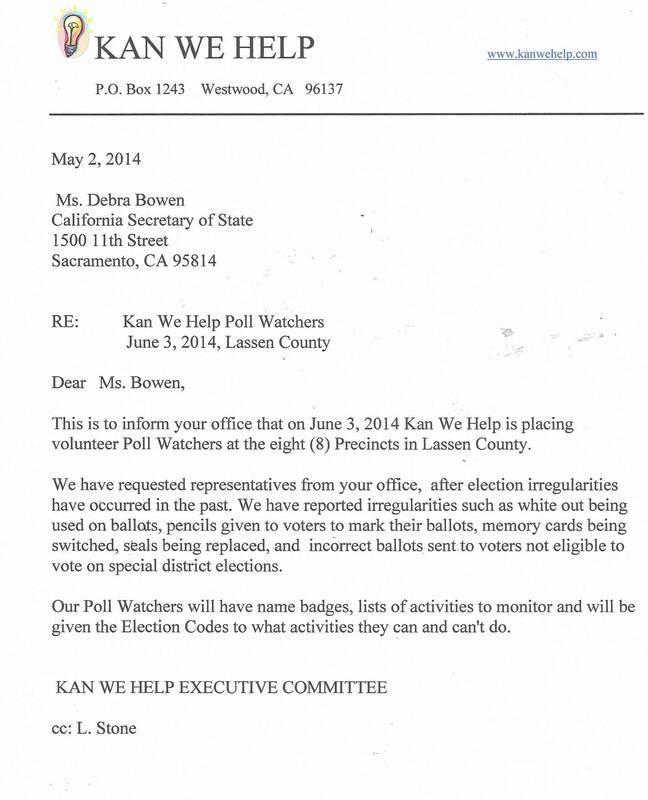 Kan We Help has filed a request with the California Secretary of State to conduct the Recall Election or at least send a Representative to monitor the election in September. 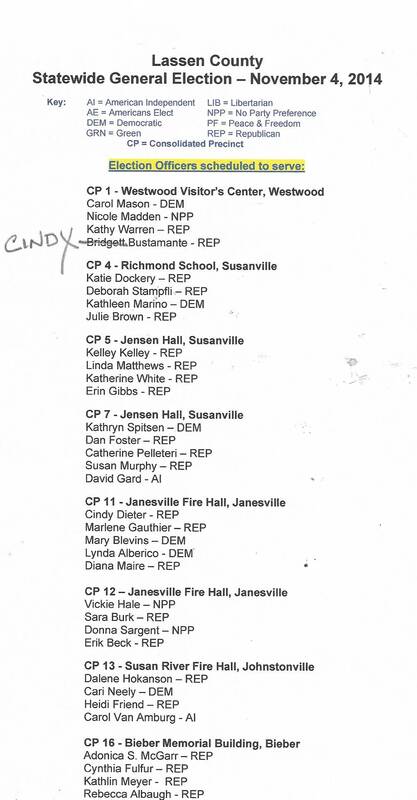 In 2012, voters in the Standish-Litchfield Fire District received ballots with the Susan River Fire District candidates on it. 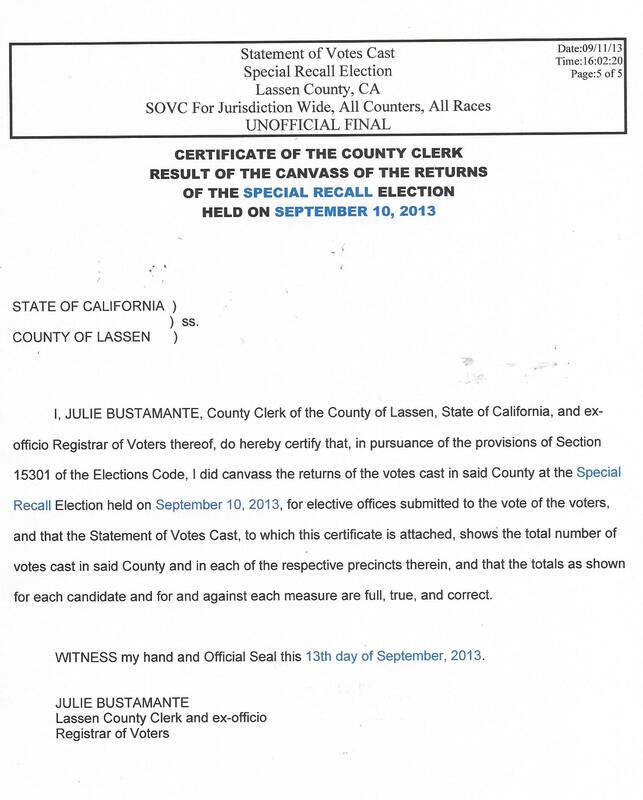 Lassen County Clerk, Julie Bustamante, sent out bad ballots and didn't even know it. Once the election date is set, September 10, 2013, Bustamante has given the candidates only 7 days to file nomination papers (June 27, 2013). Since the Board of Supervisors placed their Clerk of the Board position back with the County Clerk, the Boards Agendas and Minutes have been of little use to the public. The people have the right of access to information concerning the conduct of the people's business, and therefore, the meetings of public bodies and the writings of public officials and agencies shall be open to the public scrutiny. There was an extra "e" on one name. This cost the Recall Committee thousands of dollars to fight her action in court. The Court ruled against Bustamante claiming this was a petty decision. 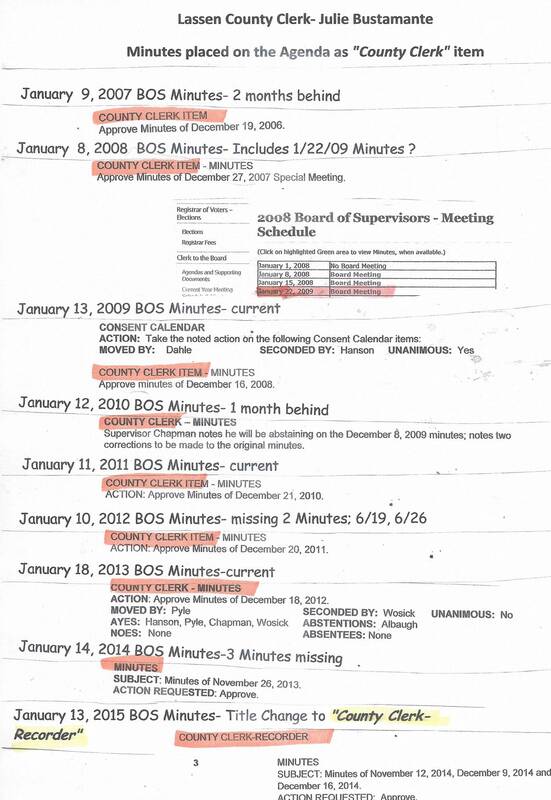 but the County Clerk does not place these Minutes IN THE BOS MINUTES column, so the public can read them. Instead she puts another copy of the Agenda there. If the public wants to read or print any document that will appear on the "next" Board of Supervisors Agenda, The Clerk of the Board refers the public to a website for Board documents/minutes/agendas but the documents may or may not be there. 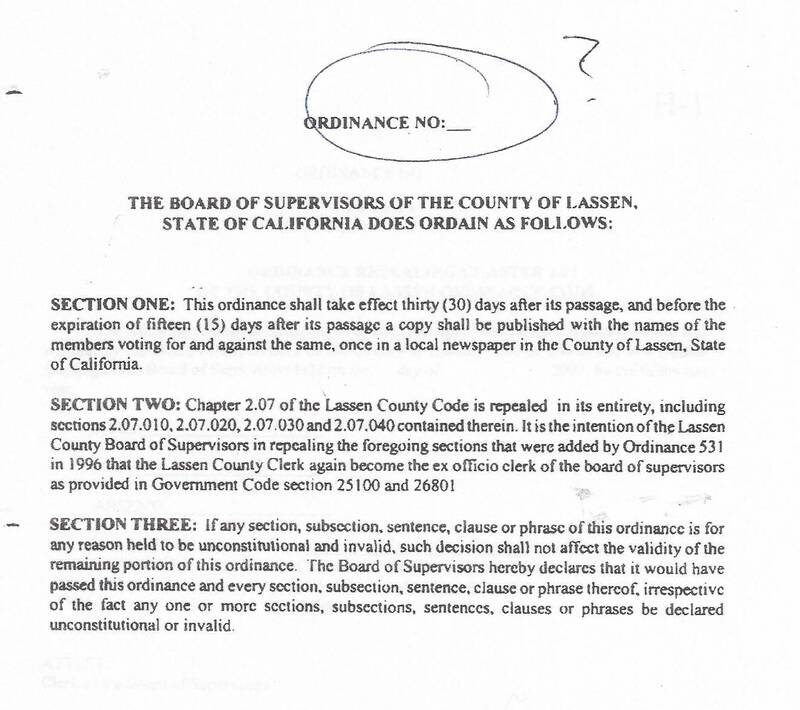 The Lassen County Board of Supervisors have done nothing to post ALL OF THE DOCUMENTS REQUIRING ACTION, REQUIRING A VOTE, prior to their meetings. They are allowed to pick and choose what the public should know. 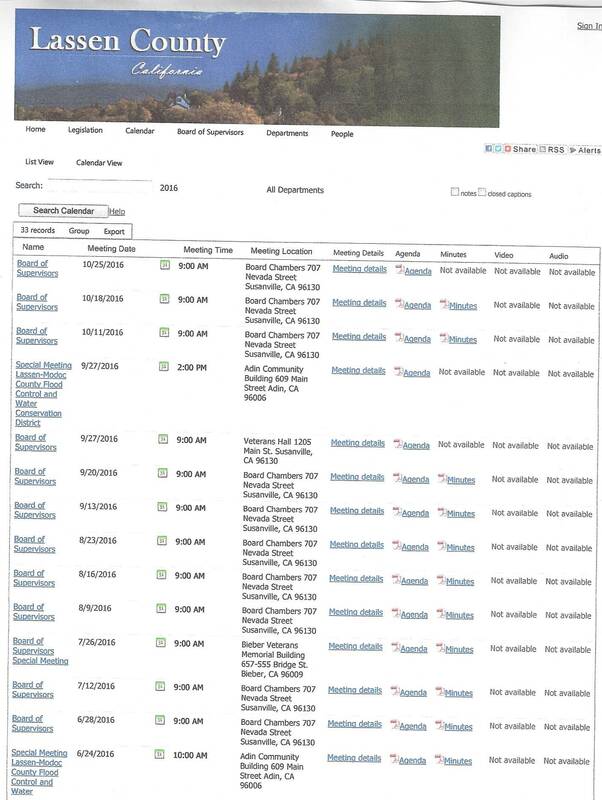 As of 9:00 PM, June 11, 2013, the July 27, 2010 Agenda has never been available on the BOS website. 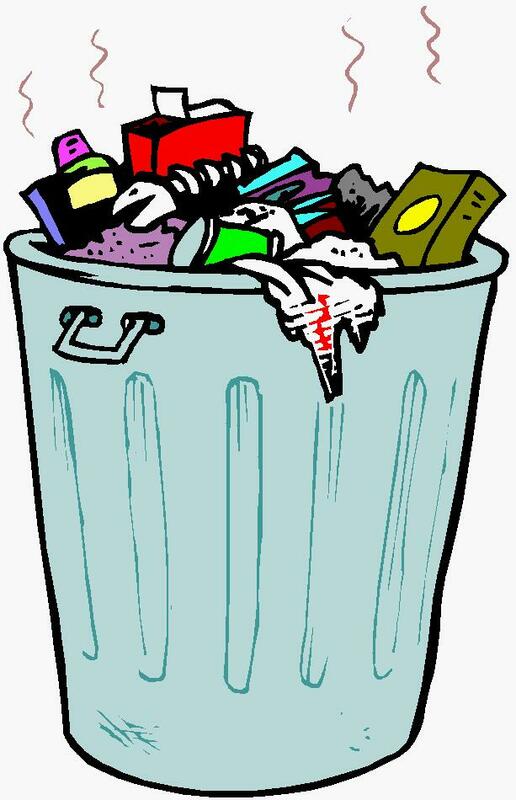 You will find the April 27, 2010 Agenda there. Time is running out to approve old Meeting Minutes that have never appeared on any Agenda to be approved. Only Chapman, Pyle and Hanson can approve these old Minutes. If Hanson is recalled, the BOS will not have a quorum to approve these old Minutes. Can she be trusted with the election? No need to adjust your screen. The photo is crooked. 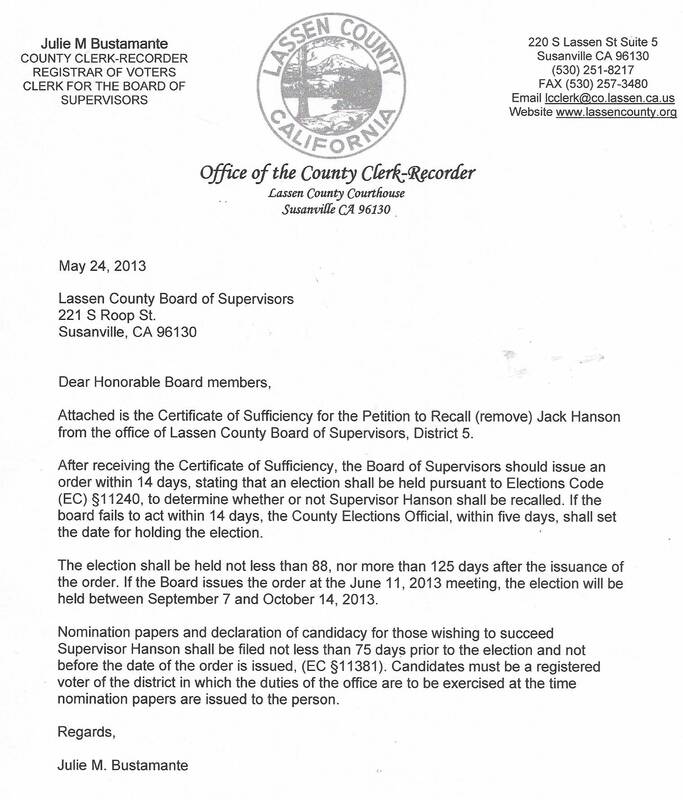 Lassen County Clerk, Julie Bustamante took the Certificate of Sufficiency [which allows a Recall Election against Supervisor Hanson to proceed] to the Lassen County Board of Supervisors, on June 11, 2013. 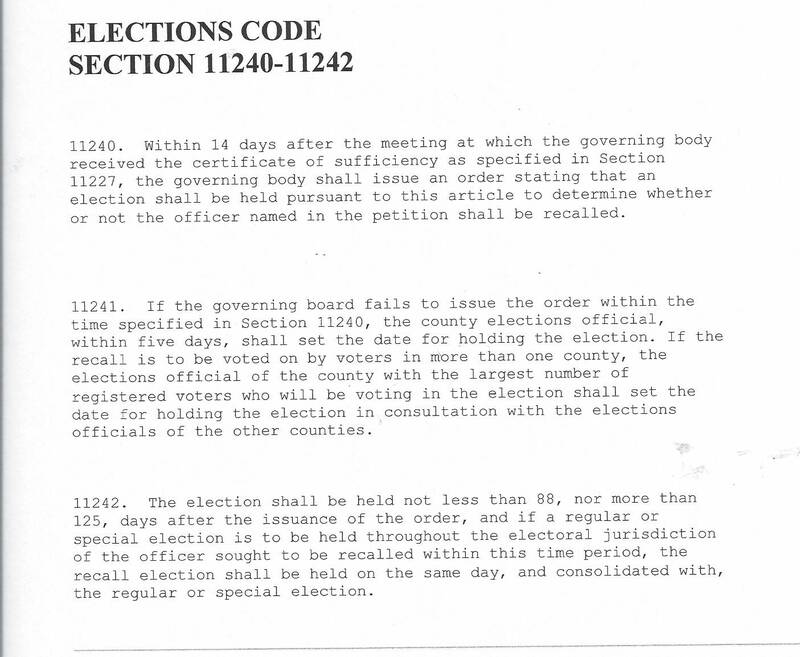 By waiting the additional two weeks, She violated Election Code 11224 (d), 11225 (h) and 11227. Agenda Item B 2 allows for agenda additions. Agenda Item B-3: Bustamante could have presented the Certificate of Sufficiency in PUBLIC COMMENT and still complied with the law. The "Certificate of Sufficiency", itself, does not need any action by the Board. but did she manage to violate Election Laws in the process? .......Will that be the question? No. The question is, why does the County Clerk decide what the public should know? In November of 1996 the Lassen County Board of Supervisors passed Ordinance 531 which moved the Clerk of the Board position out of the County Clerk's office and placed this position back under the control of the Board of Supervisors. 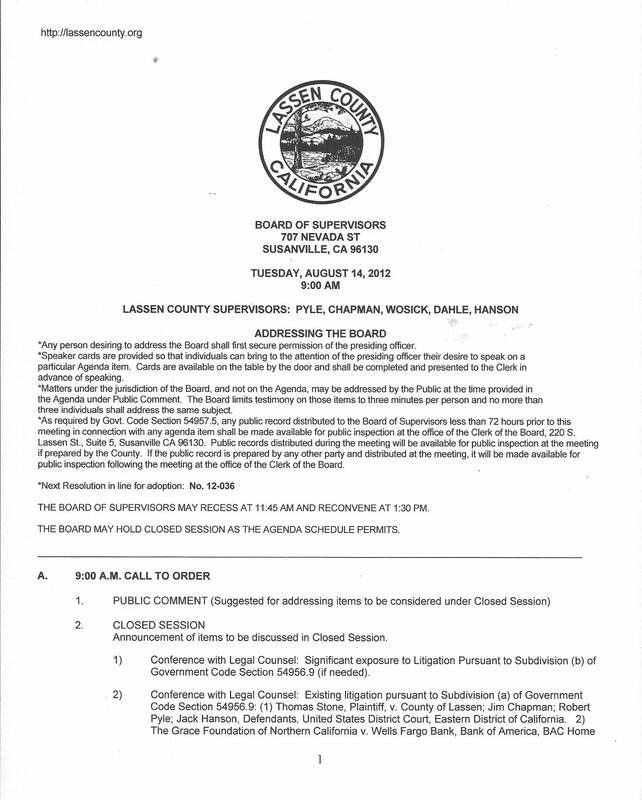 The Board could now hire and fire the Clerk of the Board of Supervisors.
. Kan We Help requested copies of the Clerk of the Board's payroll checks but Nagel ignored the Public Records Request. Determined to obtain these public records several requests were made. THERESA NAGEL DID NOT RESPOND, but County Counsel did. AND SHE LIED ? In March of 2006, a lawsuit against certain California County Clerks was filed, which included Theresa Nagel. 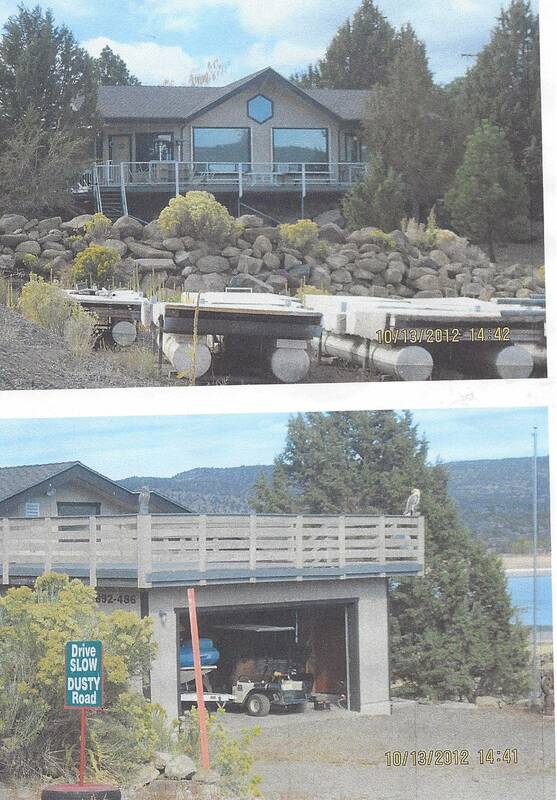 The Lassen County Times never carried this story. 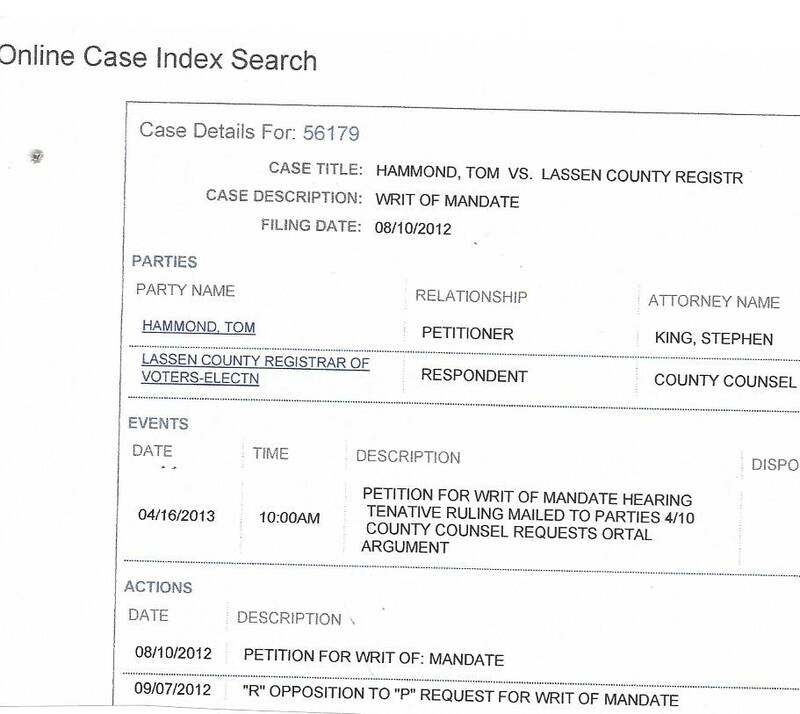 A Sacramento Bee Reporter Herbert Sample sent Kan We Help the article about the lawsuit. 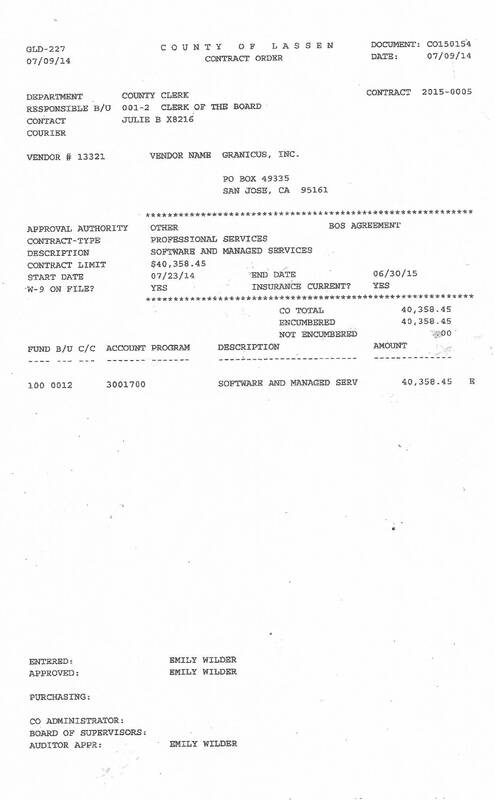 This lawsuit was filed against County Clerks that were using the Diebold system. The lawsuit claimed the Diebold AccuVote system is vulnerable to fraud , the Interpreted Code is insecure and is subject to manipulation. 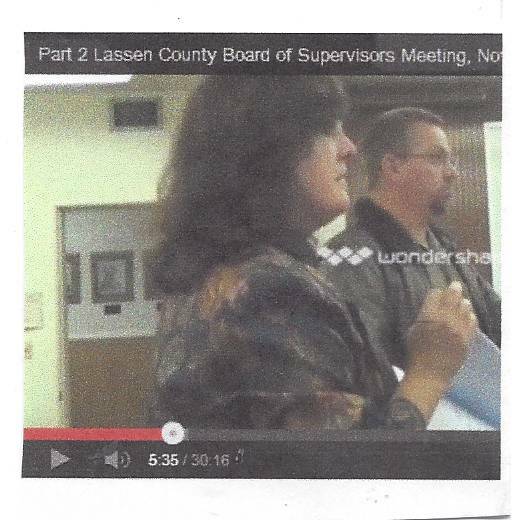 During the 2006 Budget meetings Theresa Nagel asked the Lassen County Board of Supervisors to separate the Registrar of Voters position from the County Clerk. 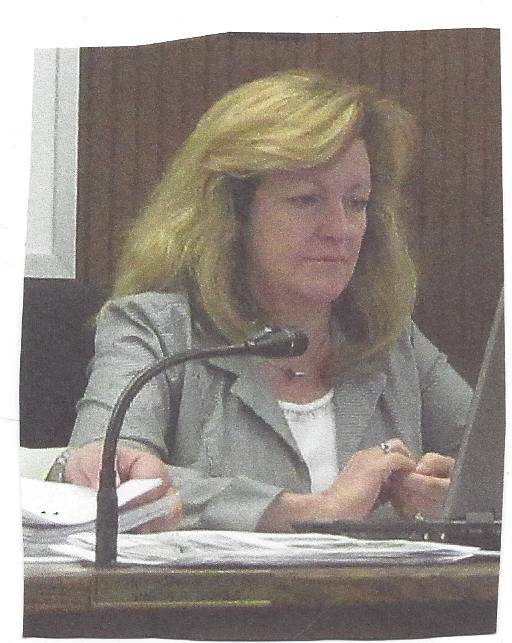 Supervisor Bob Pyle also instructed the CAO to include a position for Theresa Nagel as "Clerk of the Board". 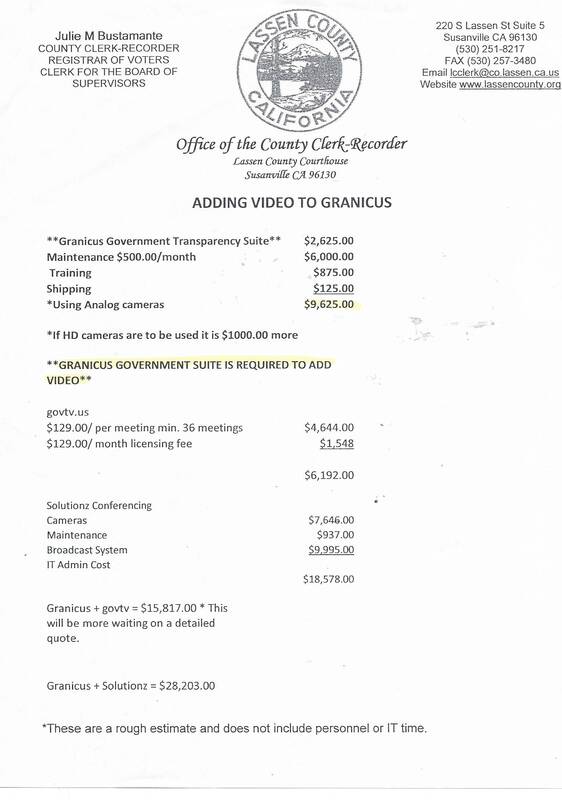 In 2006, according to the Lassen County Auditor, the Clerk of the Board had a 2006-2007 budget of $118,000. The Registrar of Voters had a budget of $283, 417. 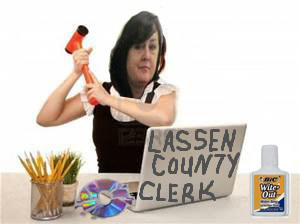 Theresa Nagel wanted to gut the County Clerk's office to just Clerk/Recorder. 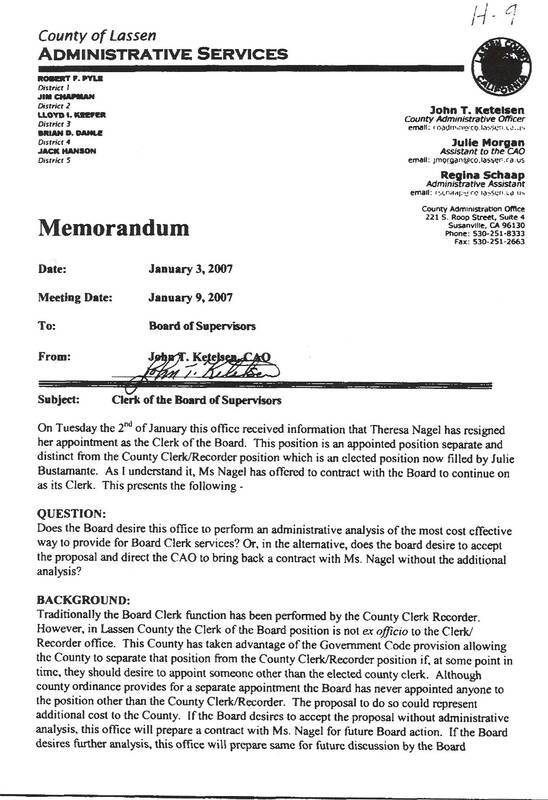 On January 2, 2007, Theresa Nagel resigned her position as Clerk of the Board. Even though the 1996 Ordinance still maintained that the Board of Supervisors had the authority to hire and fire the Clerk of the Board. Also on this same agenda, Fred Nagel secures a contract with Lassen County Public Works Department as Deputy County Surveyor. Next position for his wife, Theresa Nagel. A POSITION THAT WOULD NOT INVOLVE "ELECTIONS". County CAO Ketelson asks for direction on the now vacant Clerk of the Board position. 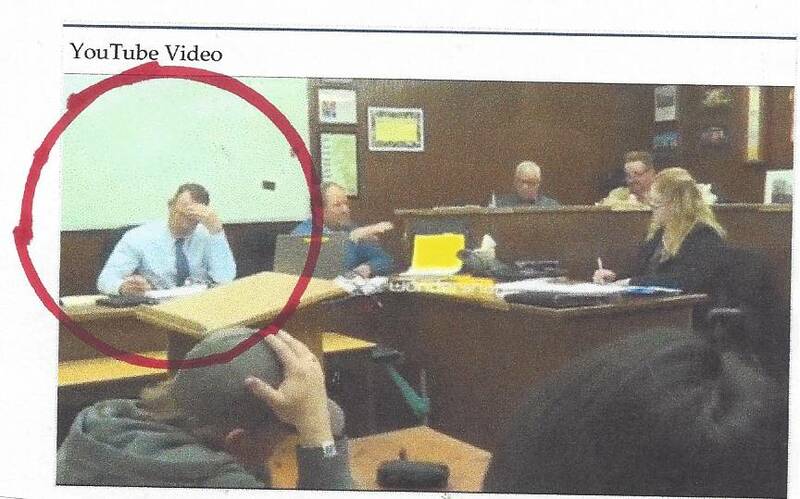 Supervisor Dahle asks Ketelson to do a study on their choices and report back on January 16, 2007. Discussion continued at the January 16, 2007 Board meeting about what action was needed to fill the Clerk of the Board position. 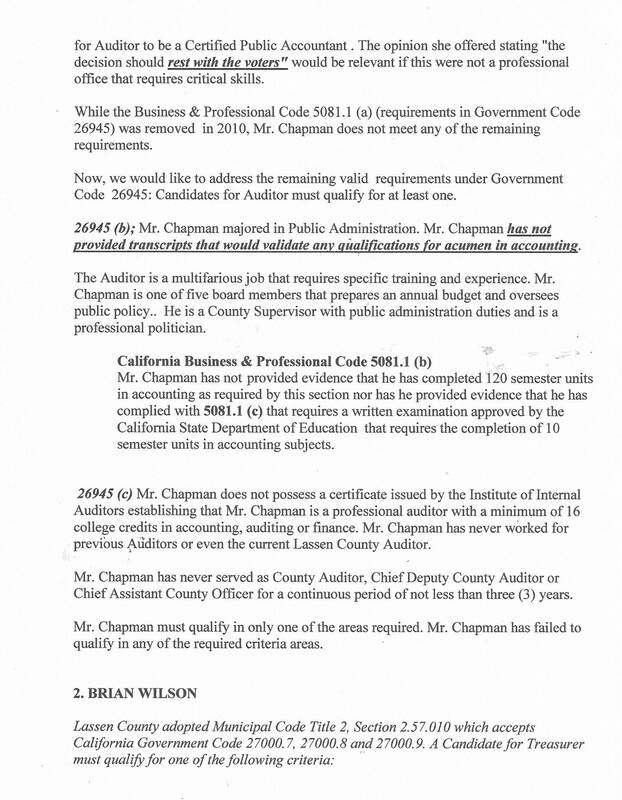 Supervisor Chapman supported repealing Ordinance 531 and put the position back in the County Clerk's Office. The Supervisors voted to appoint Julie Bustamante, current County Clerk, to fill the position of Clerk of the Board until other options could be discussed. Supervisor Dahle and Supervisor Keefer voted NO. 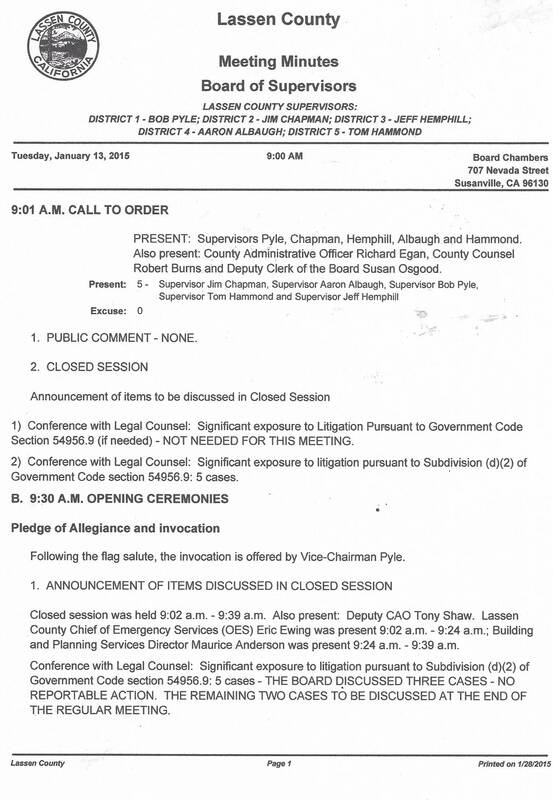 Supervisor Jim Chapman, at the January 23, 2007 Board meeting, instructed County Counsel Craig Settlemire to bring an Ordinance to the next meeting to repeal Ordinance 531. Supervisor Chapman has been on this Board since 1977. 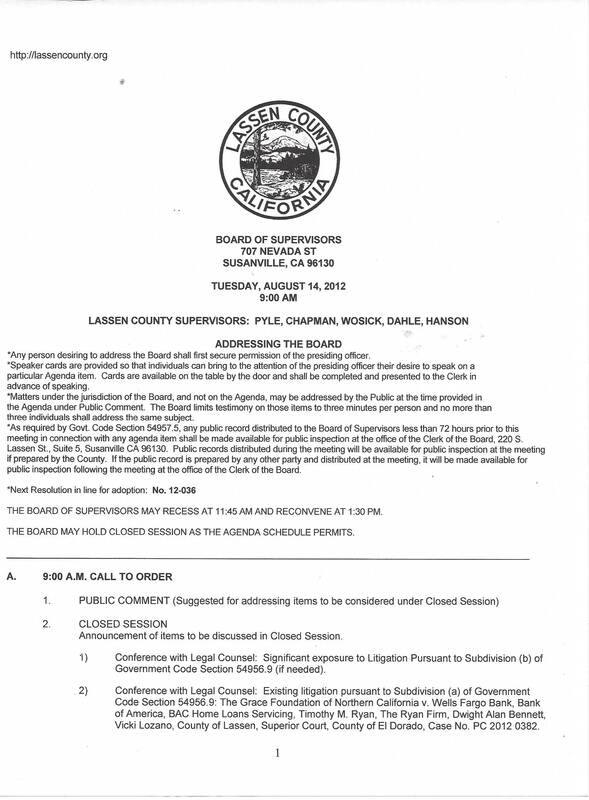 Lassen County Counsel brings the Ordinance 531-A to the February 13, 2007 [as Agenda Item H-1] Board meeting but Supervisor Pyle and Chapman change their minds on taking action and continue the issue to the February 20, 2007 Board meeting. 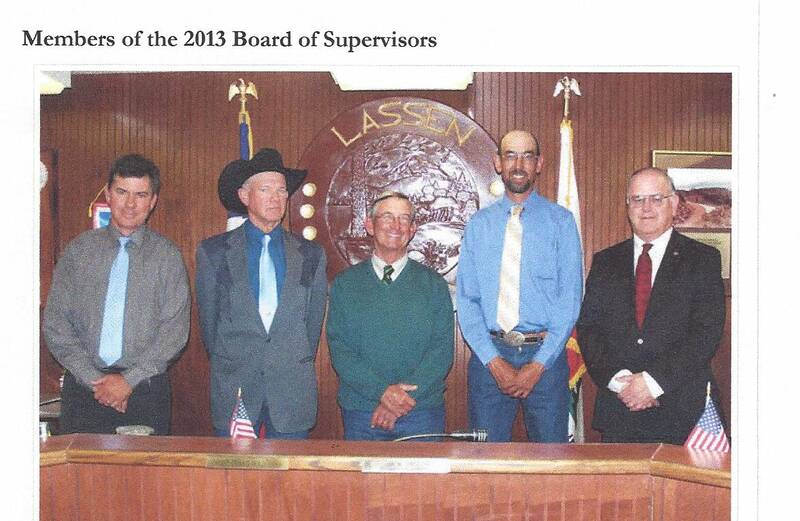 The Lassen County Supervisors approved the appeal of Ordinance 531 at their February 20, 2007 Board meeting. 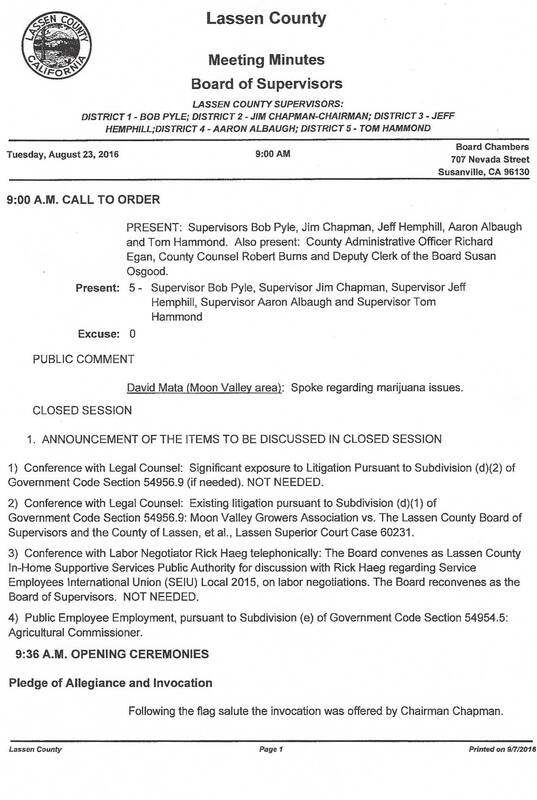 The Minutes show that Supervisor Pyle, Chapman and Hanson voted YES. Supervisors Keefer and Dahle voted NO. 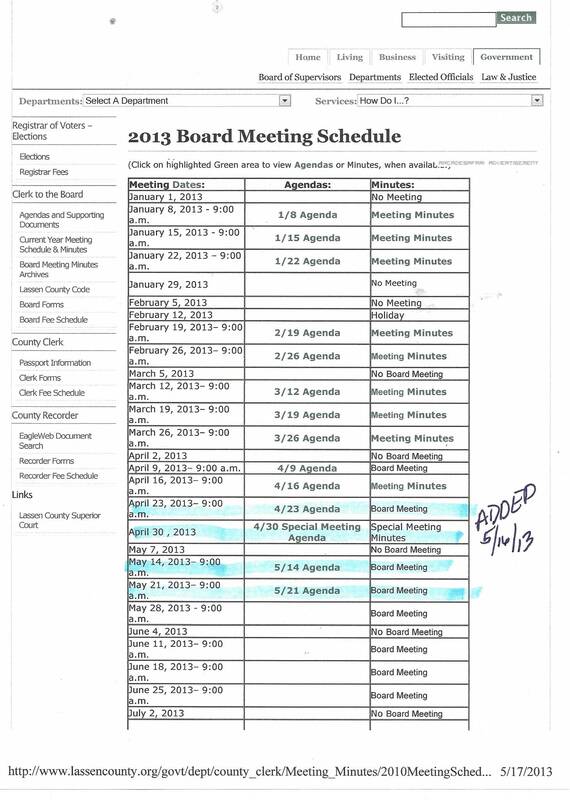 In the last three years alone, only 57% of the Board Minutes have been posted to the Lassen County Board's website prior to action by the Board. In this same period 14 minutes were never voted on. This Board has decided WHAT THE PUBLIC NEEDS TO KNOW. This is in direct conflict with the intent of the Brown Act. 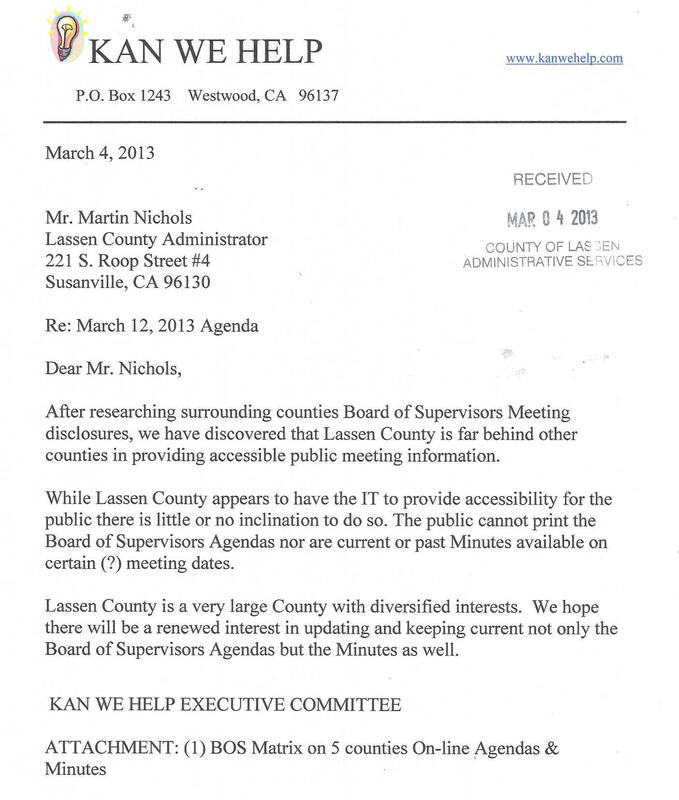 Kan We Help submitted a formal request for copies of the May 14, 2013 Lassen County Board of Supervisors Agenda Packet. This request specifically identified Section 54954.1 of the Brown Act. 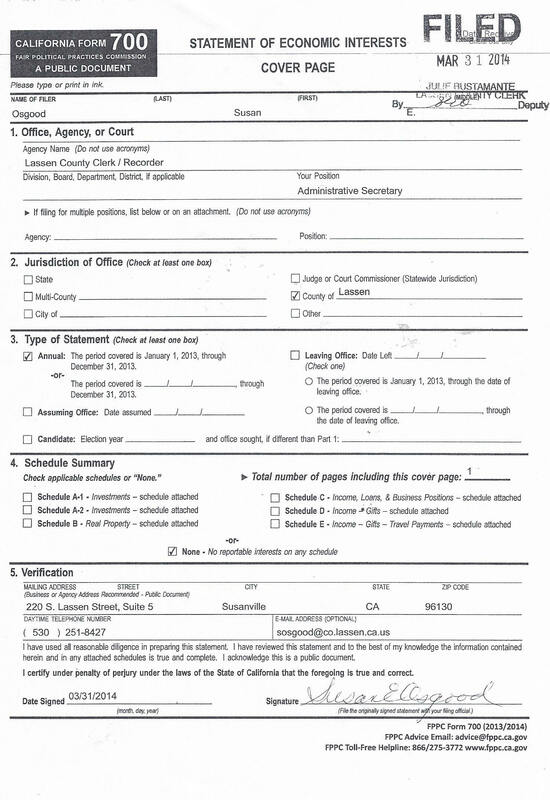 NOTE: THIS PUBLIC DOCUMENT REQUEST WAS NOT MADE UNDER THE PUBLIC RECORDS ACT BUT THE BROWN ACT. THE PUBLIC RECORDS ACT ALLOWS A PUBLIC AGENCY TO ASSESS A FEE FOR EACH PAGE REQUESTED TO BE COPIED. THE BROWN ACT ONLY ALLOWS A PUBLIC AGENCY TO RECOUP MAILING COSTS. 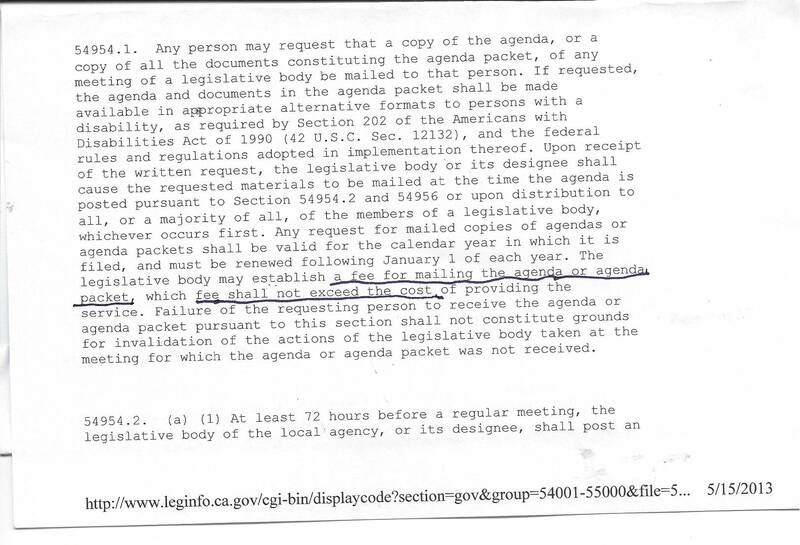 The Brown Act Section states this request is good for a calendar year in which it was made and entitles the requestor to a free copy of the Agenda Packet. If you wish it mailed to you, this Section states that the public agency can assess a fee equal to the mailing. 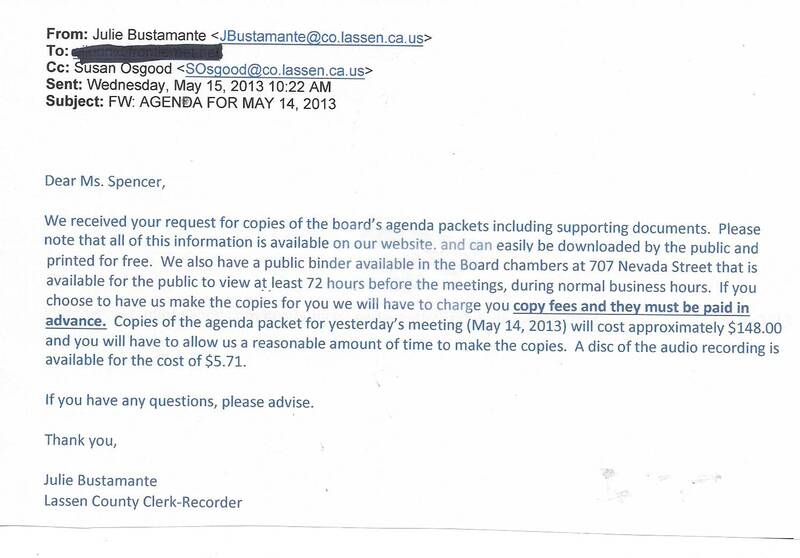 The County Clerk Julie Bustamante claimed she could charge a fee to copy the Agenda Packet. Ms. Bustamante explained that everyone had to pay for a copy of the Agenda Packet. 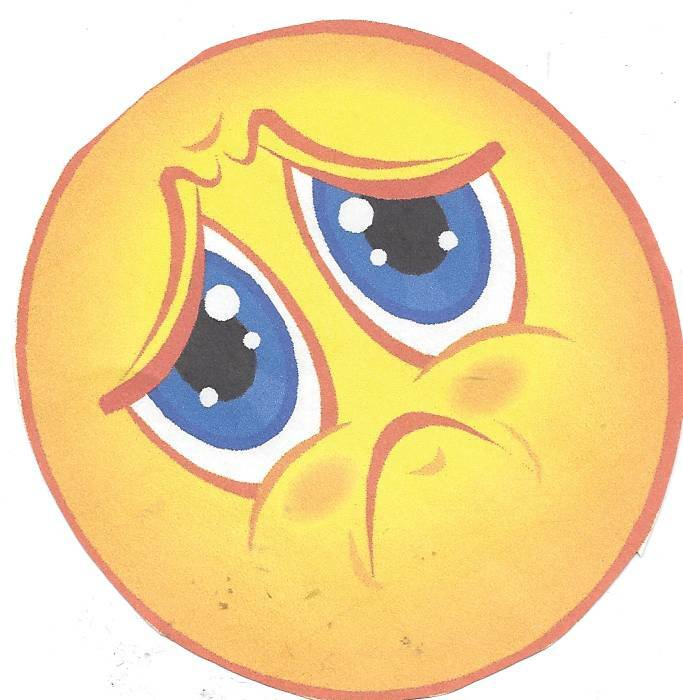 Kan We Help was told, via e-mail, the May 14, 2013 Board of Supervisors Agenda Packet would cost $148.00 and $5.71 postage for the mailing service. 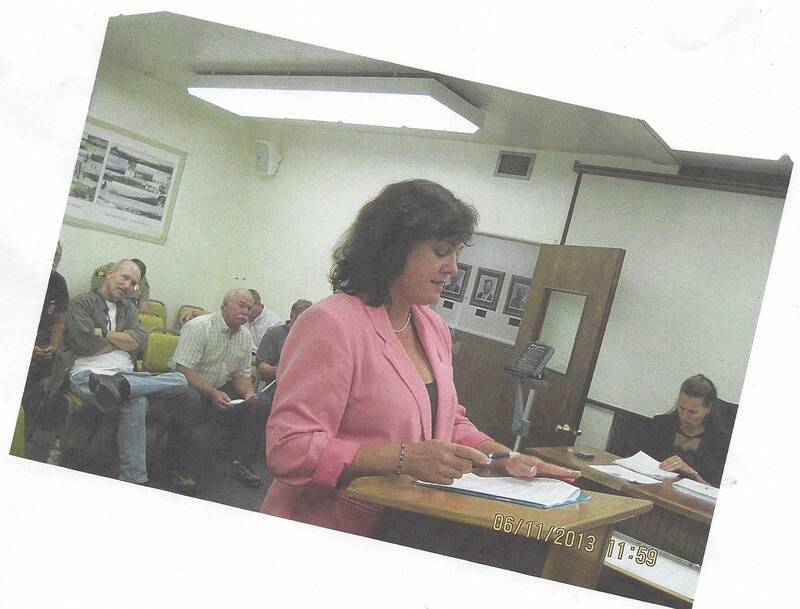 Julie Bustamante distributes copies of the Board Agenda Packet to the Lassen County Times and KSUE radio at EVERY MEETING. 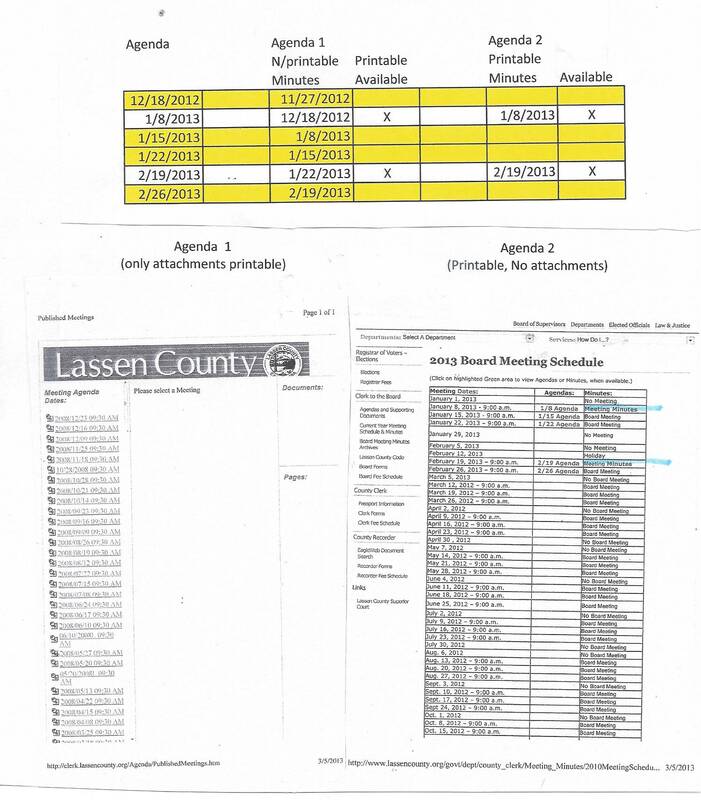 On May 16, 2013, Kan We Help filed a Public Records Request under the Public Records Act for TEN YEARS WORTH OF LASSEN COUNTY TIMES AND KSUE "Requests for Agenda Packets" and copies of their cancelled checks showing they paid for each and everyone. 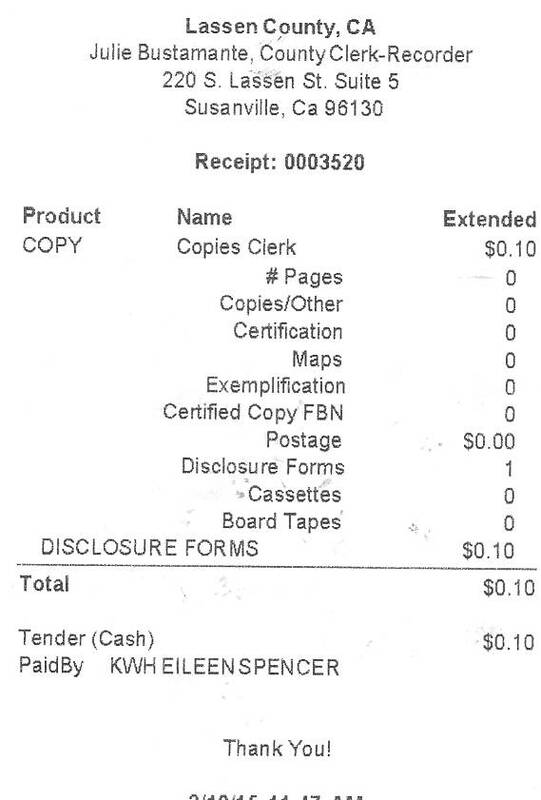 KWH Secretary Eileen Spencer called Bustamante's office on Friday morning to find out how much the copies would be. Ms. Bustamante became indignant and yelled "I have until May 26" and then slammed the phone down. 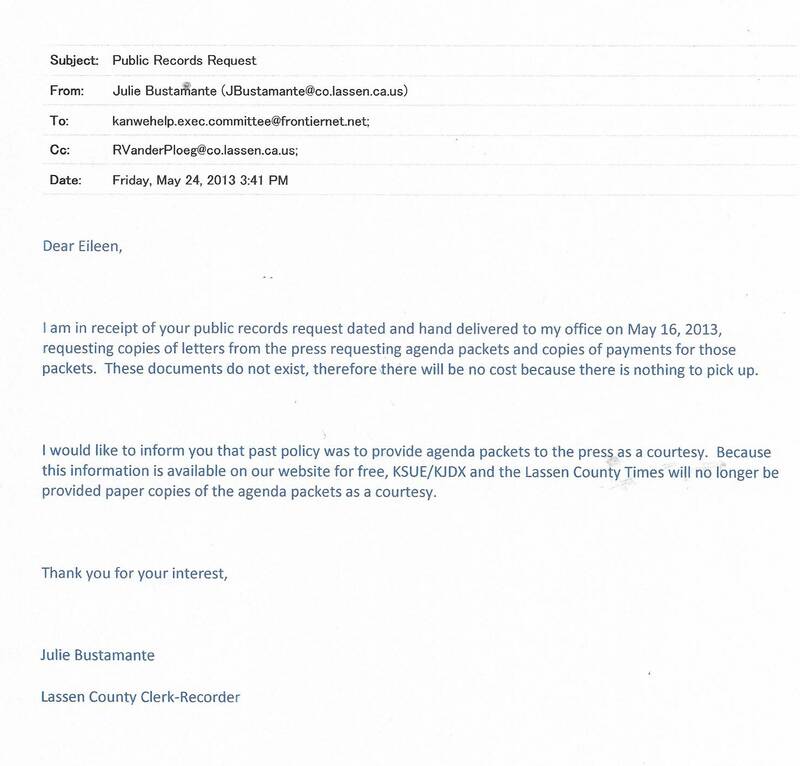 Bustamante lied about the copying fees to avoid releasing a Board Agenda Packet to Kan We Help. 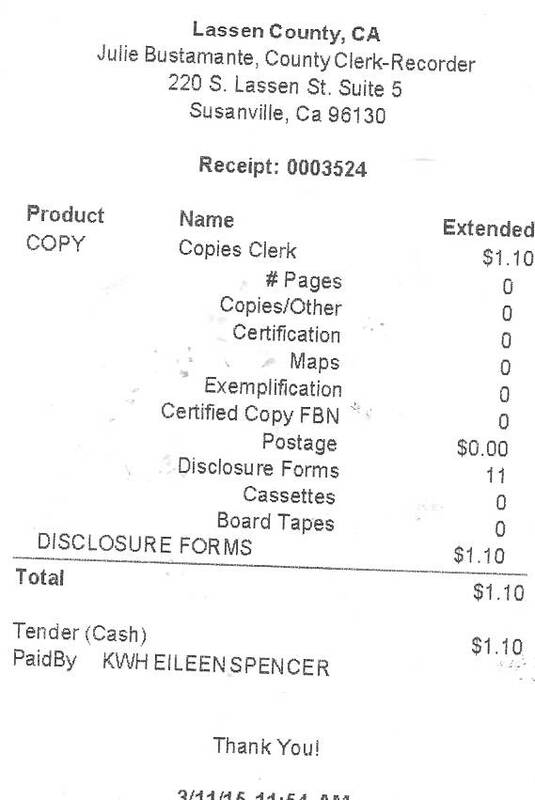 Kan We Help receives dozens of public board Agenda Packets every month and has never paid anything except the mailing costs. 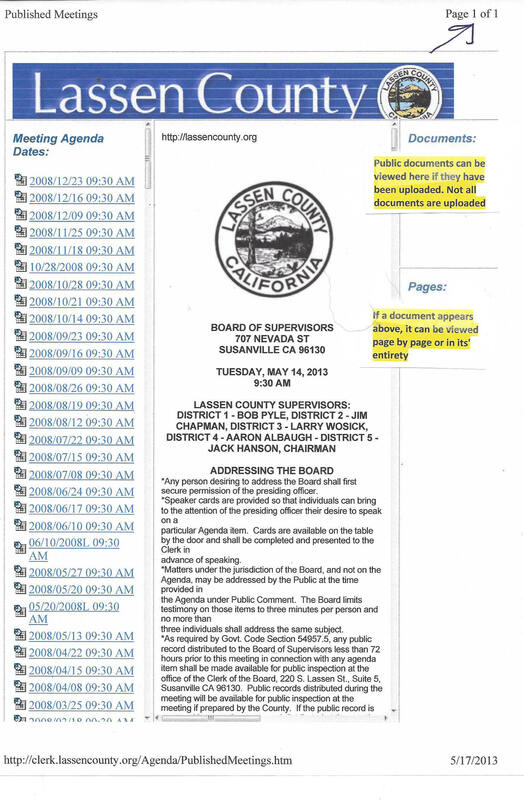 Bustamante claims the public has access to the Board Agenda and documents via the Board of Supervisors website. THE SAD TRUTH OF THIS WEBSITE, NOT OFTEN BUT ROUTINELY, EXCLUDES THE "SUPPORTING DOCUMENTS" LIKE COPIES OF THE MINUTES THAT REQUIRE ACTION BY THE BOARD TO APPROVE. ACTION THAT REQUIRES PUBLIC DISCUSSION. The last time a call was made, was April 17, 2013. The question: when is the deadline for certifying the signatures? Bustamante yelled "May 29" and then slammed the phone down. 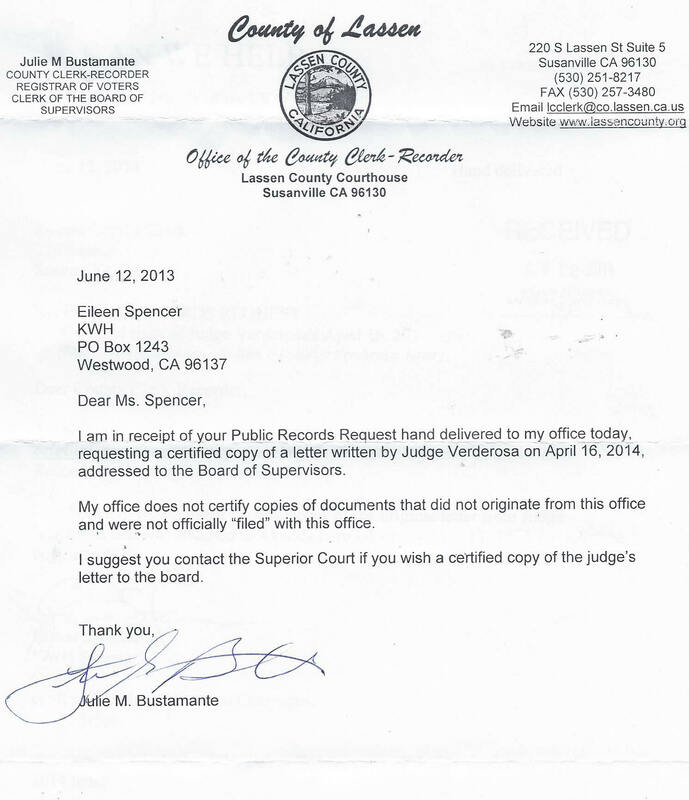 Ms. Bustamante recently was ordered, by a court action, to accept the Recall Petition against Supervisor Jack Hanson. 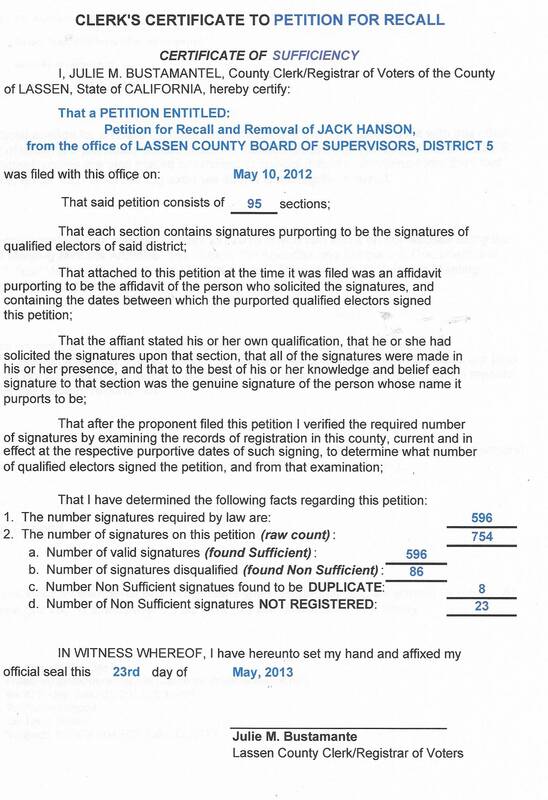 The Court determined that her reason for denying the petitions was petty and ordered her to count the signatures. 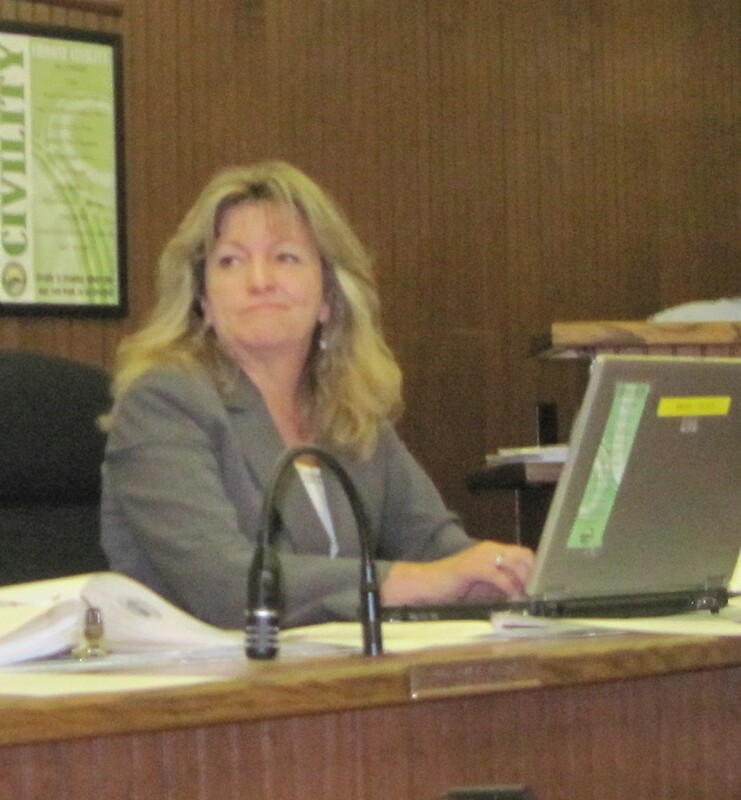 This angry public servant has not notified the Board of Supervisors as of the next meeting on May 28, 2013. This issue does not appear on the BOS 5/28/13 Agenda. 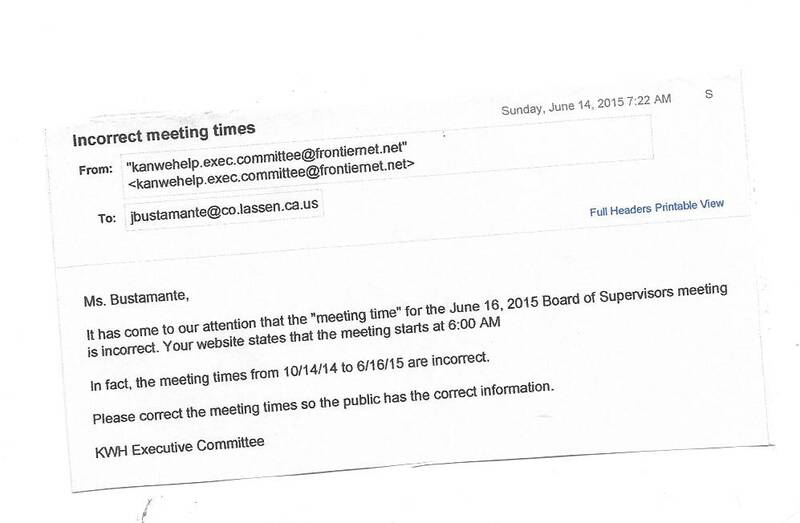 It appears that Bustamante wants this to go to the June 11 meeting. It must be noted that the Election Code allows Bustamante to announce the disqualification of signatures and the Recall Petition at anytime and the Recall Petition dies. 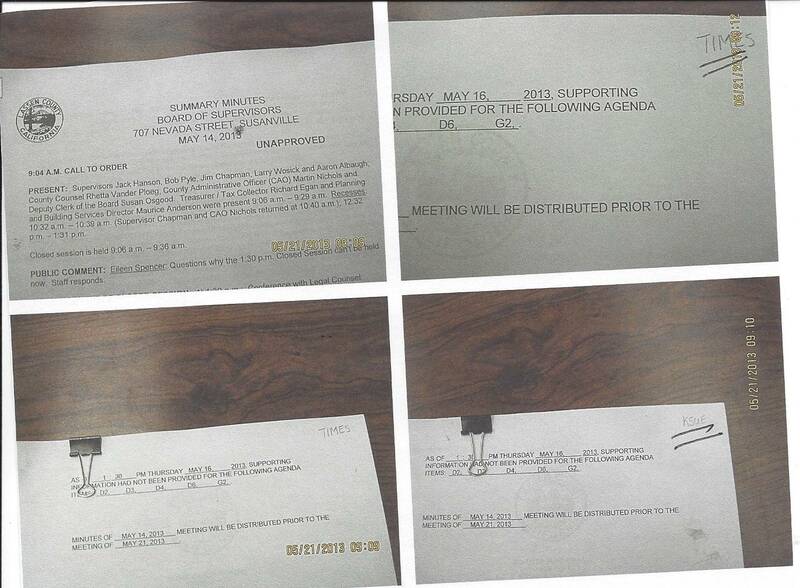 The May 14, 2013 Minutes were placed in the "Consent Calendar" as G1 on the May 21, 2013 Agenda to be approved. All items placed within the Consent Calendar are voted on with one vote. They are considered "routine in nature". The problem: No Minutes were posted for public review. This isn't the first time this has happened. Kan We Help has pointed this problem out many times and the Supervisors still are not posting the supporting documents, minutes and agendas prior to their meetings. 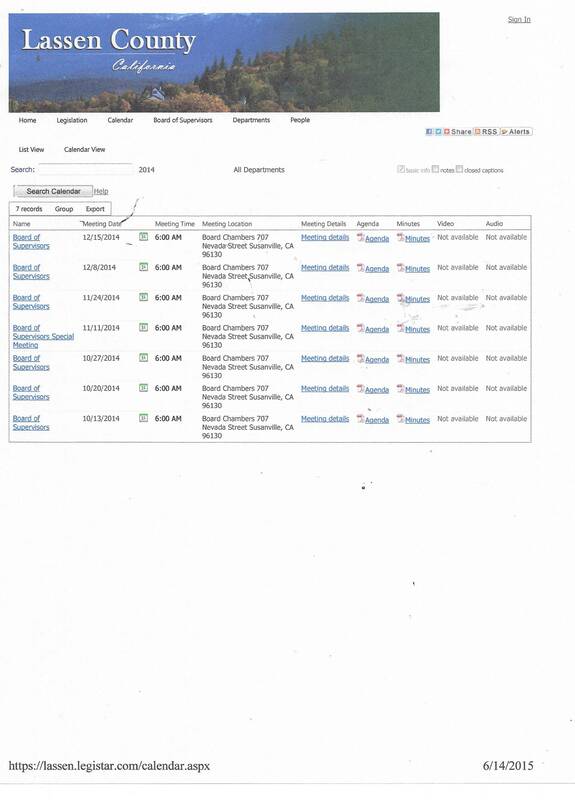 The excuse is that there is a glitch in the system, yet other documents seem to get posted on their website. 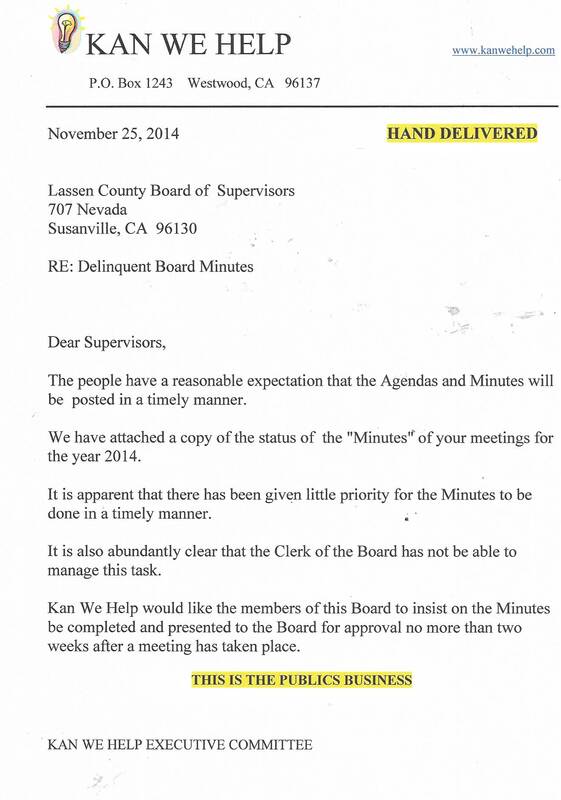 This time, Kan We Help asked the Lassen County Supervisors to table the Minutes until they figure out the minutes, if action is to be taken, must be available for review by the public. The Brown Act allows for public discussion prior to a vote. Deputy County Clerk Susan Osgood appeared outraged at Kan We Help's objection. Evidently, the May 14, 2013 Minutes were included in the Boards Packet. CAO Nichols/Bustamante are responsible for the accuracy of the Board of Supervisors Agenda. Susan Osgood does what she is told to do. 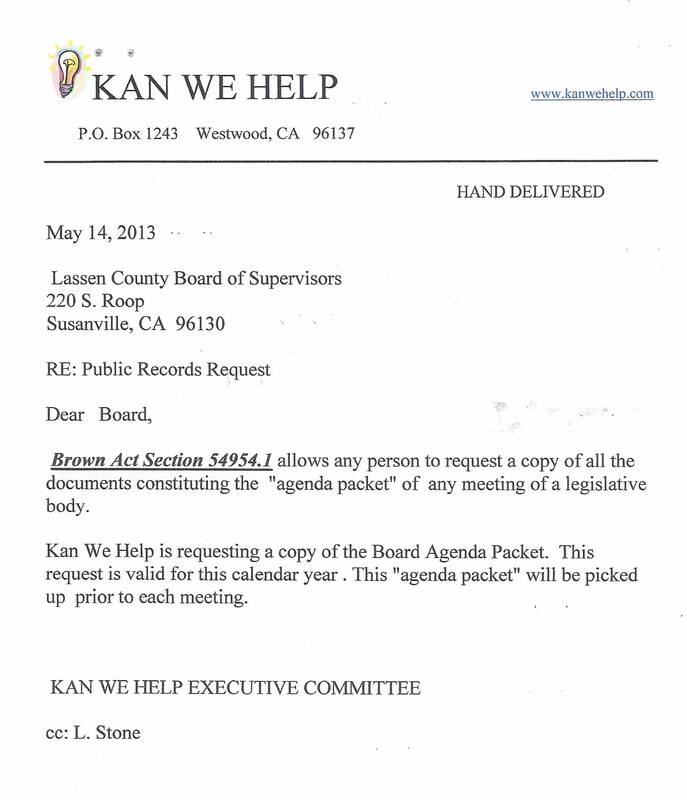 Kan We Help was prepared to file a Brown Act Violation but the Supervisors agreed to continue this item until the Minutes are posted on their website. This Board has inconsistently failed to post their minutes on their website. 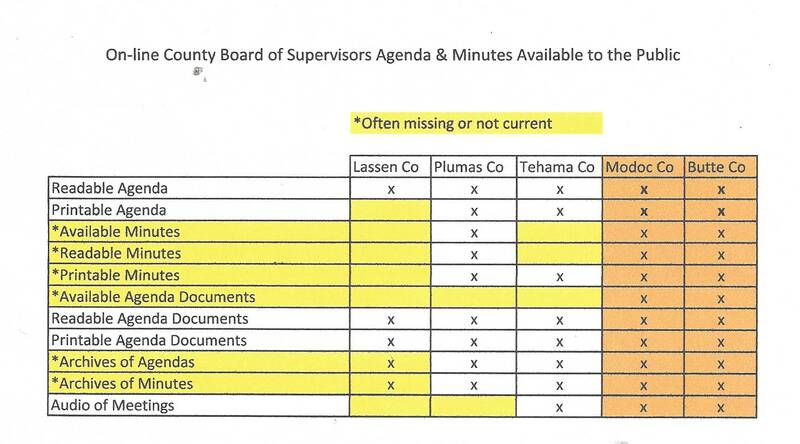 Kan We Help reviewed five years of the Lassen County Board Minutes and found dozens of Minutes that have never been posted. The Supervisors are now playing "catch up". 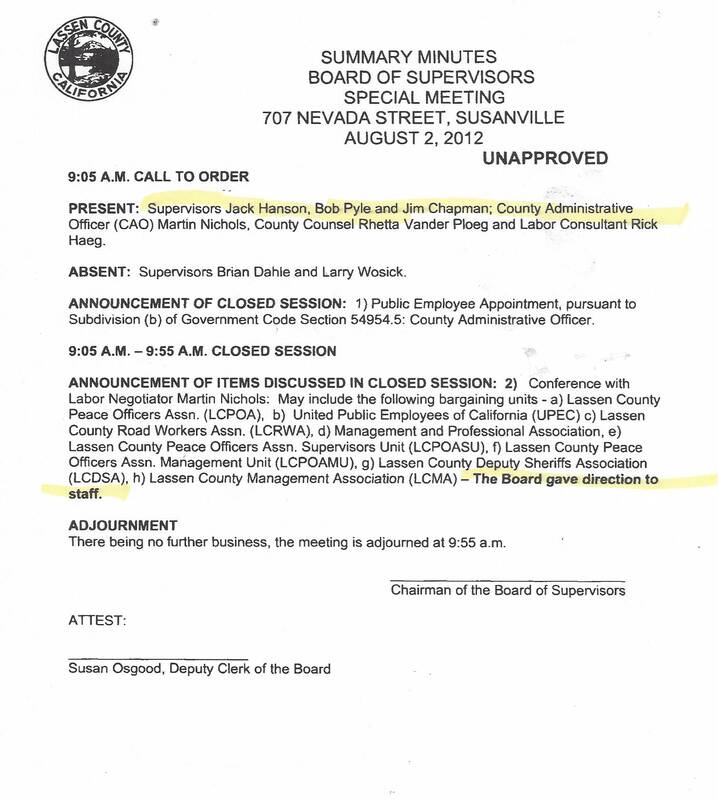 The Supervisors added another clump of minutes to be approved at their May 21, 2013 meeting [August 8, 2011, August 10, 2011, August 11, 2011, August 12, 2011]. Fortunately, four of the Supervisors were present during these 2011 meetings and will be able to vote to approve them. This is not the best way to approve minutes that are two years old. 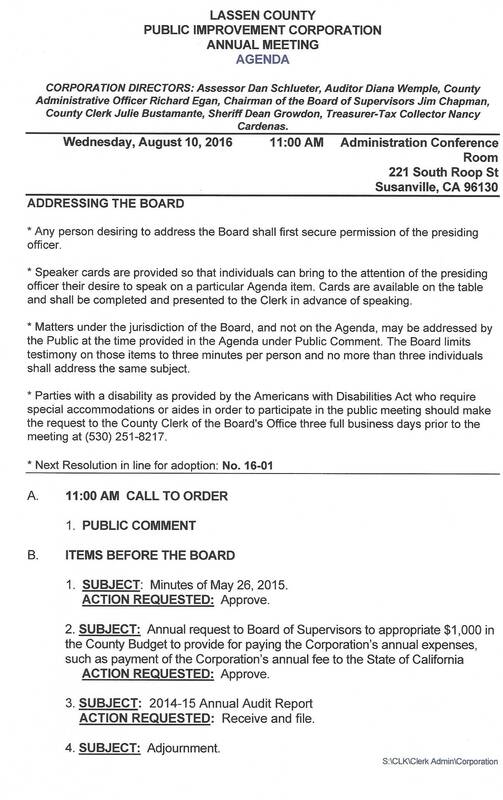 NOTE: The May 14, 2013 Agenda included approving the June 15, 2010 Minutes. The Supervisors placed these three year old minutes independently as the LAST ITEM ON THEIR AGENDA. 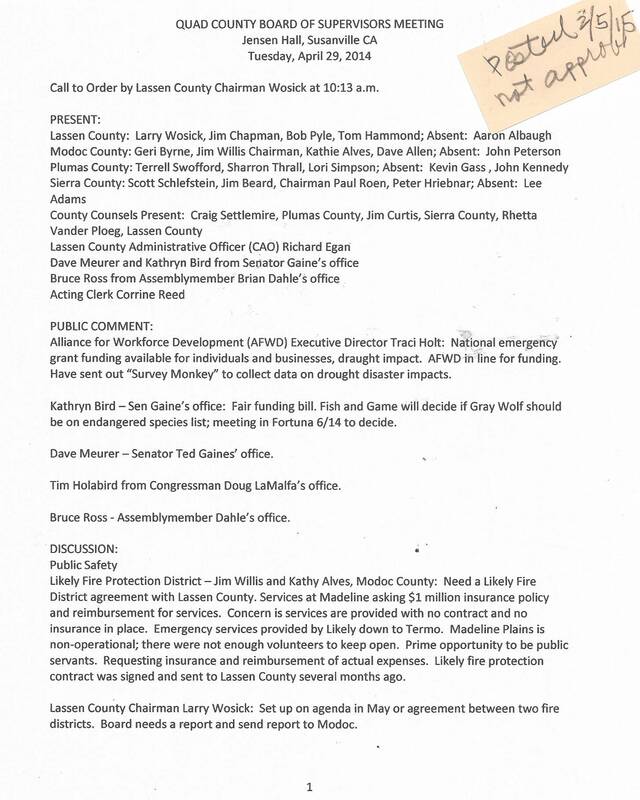 The Lassen County Board of Supervisors DID NOT DISCOVER A MISTAKE, as reported by the Lassen County Times, at their April 23, 2013 meeting. 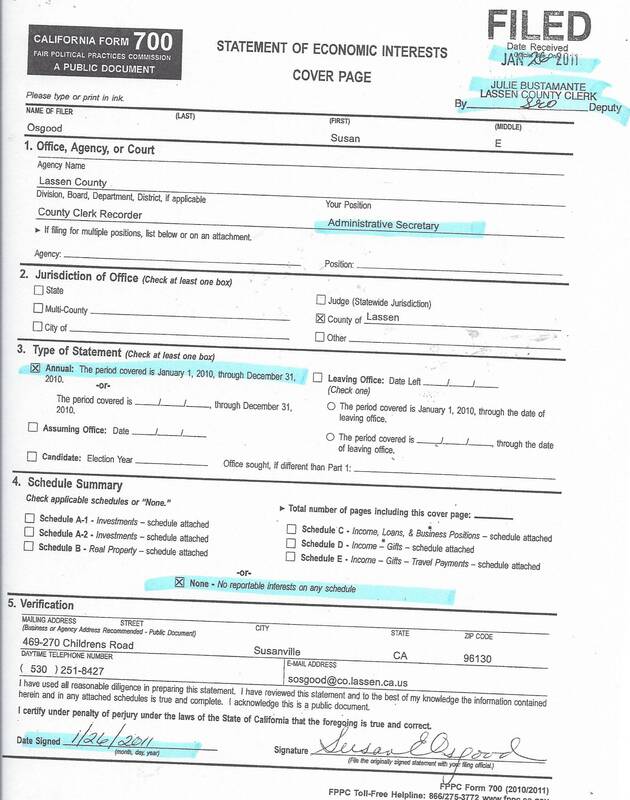 Kan We Help filed a Brown Act Violation to stop them from having an illegal closed session. 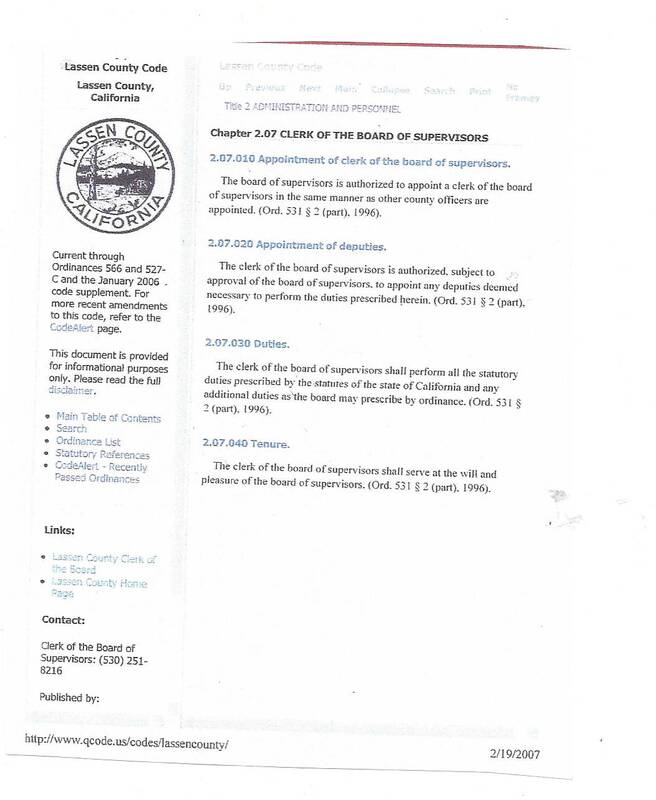 Lassen County Clerk, Julie Bustamante is responsible for posting the Lassen County Board of Supervisors Agenda's and Minutes to the Board's website. 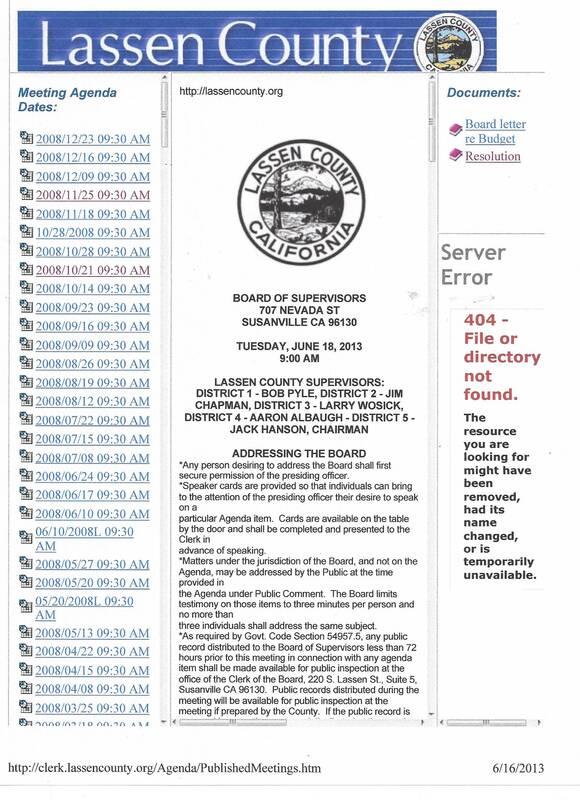 The Lassen County website is just poorly maintained and has become useless to most. 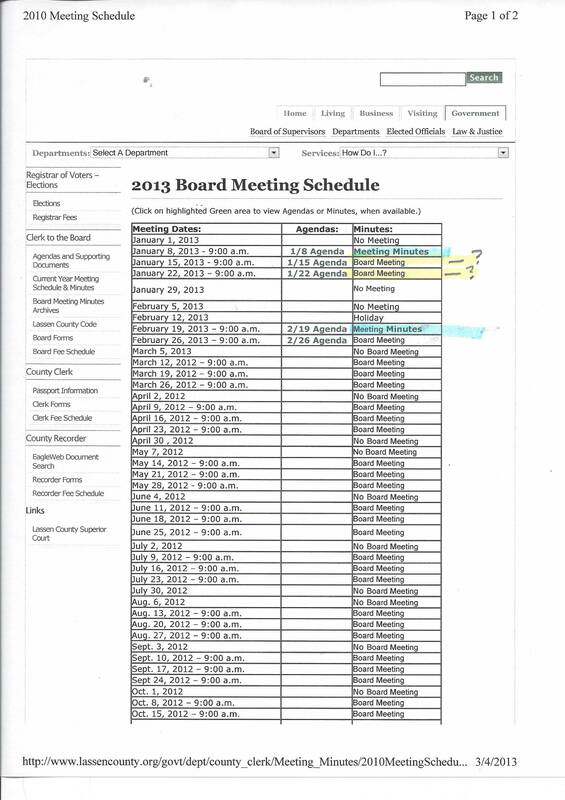 First, there are two sites for Board Agendas and Minutes. Both are poorly maintained and updates are random at best. One properly maintained site would be the answer but Ms. Bustamante wants no changes. Secondly, certain documents are missing on the site that does offer access to uploaded meeting documents but you can not print the Agenda. 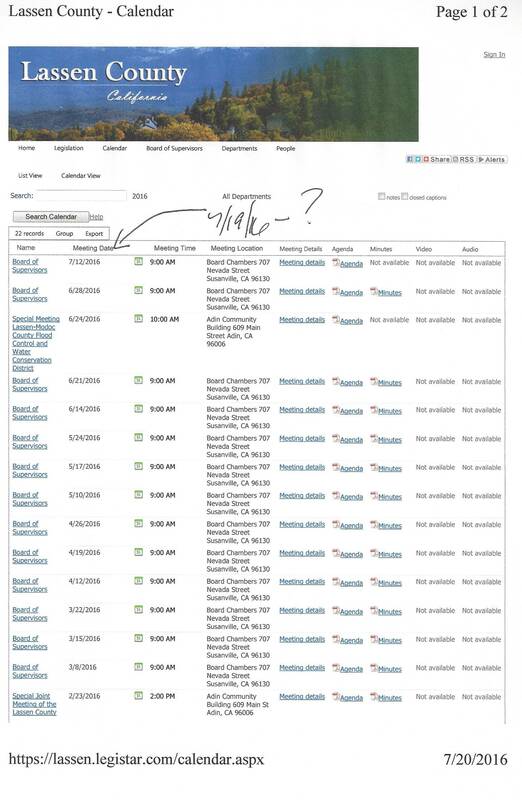 The site that does allow you to print the Agenda (below) does not post access to agenda documents. You put that together with the fact Agendas and Minutes are simply not posted prior to the Board of Supervisors meetings make both sites useless. 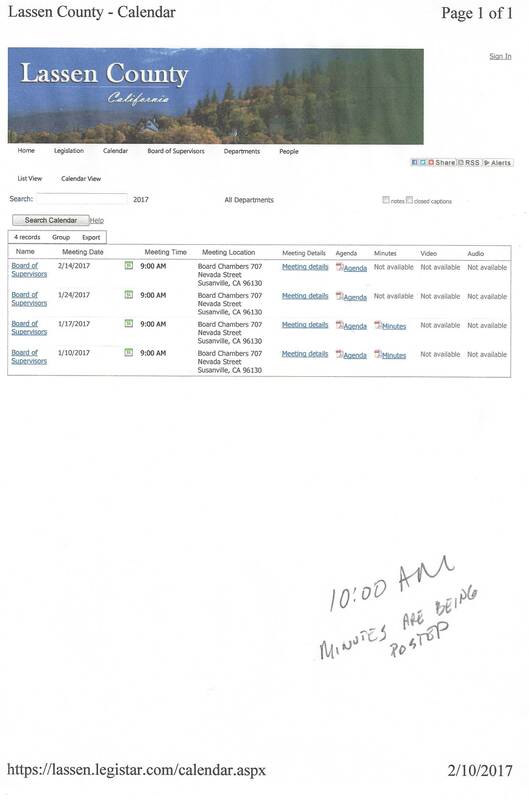 Kan We Help has informed the County Clerk many, many times how undependable both sites are, including years old Minutes that have never been approved. Only recently, the Board of Supervisors have been placing these old minutes on their agenda to be approved one by one. 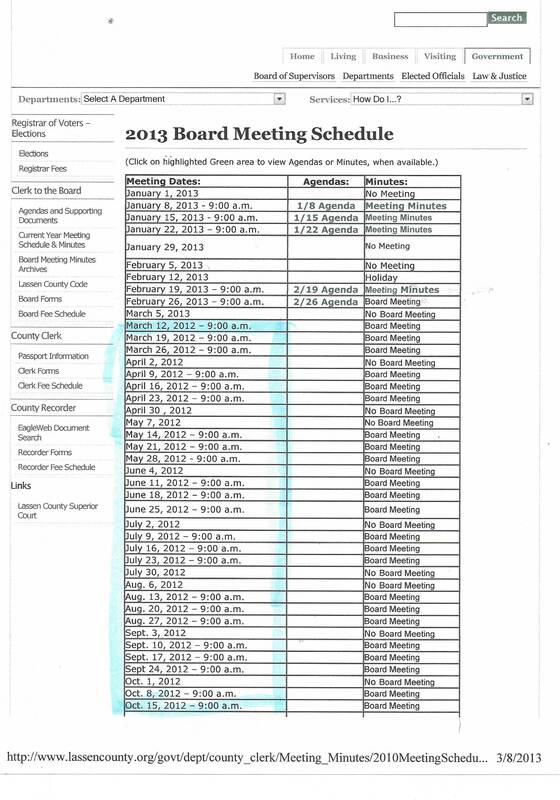 On the May 14, 2013 meeting agenda they placed Agenda item H1, the June 15, 2010 meeting minutes, to be approved as the last item on their Agenda. 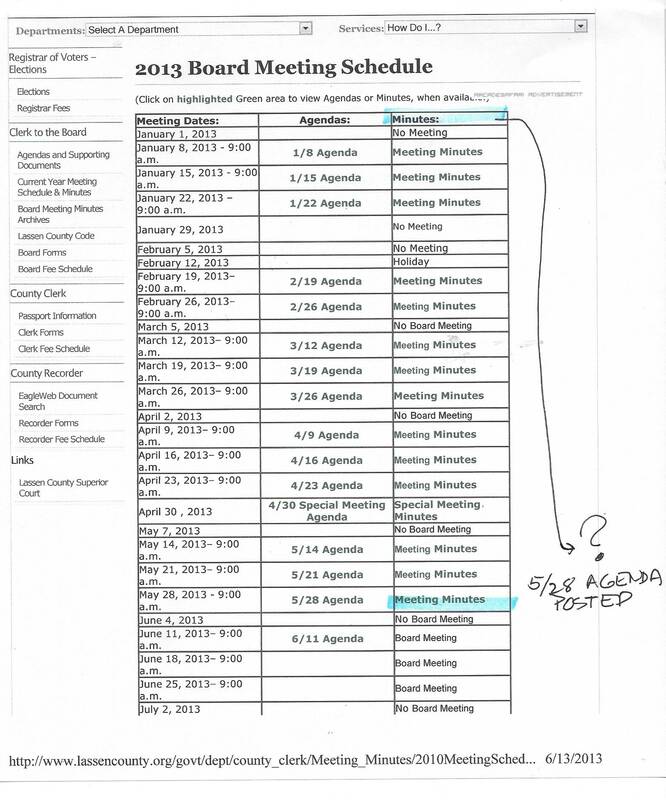 It is difficult to approve minutes that are years old because, one, the Board members have changed and it is unlikely that the Board members that did attend these meetings are not in a position to approve two or three year old recollections of those meetings. When public agencies, such as the Board of Supervisors fail to approve meeting minutes, they have their own agenda and have something to hide. 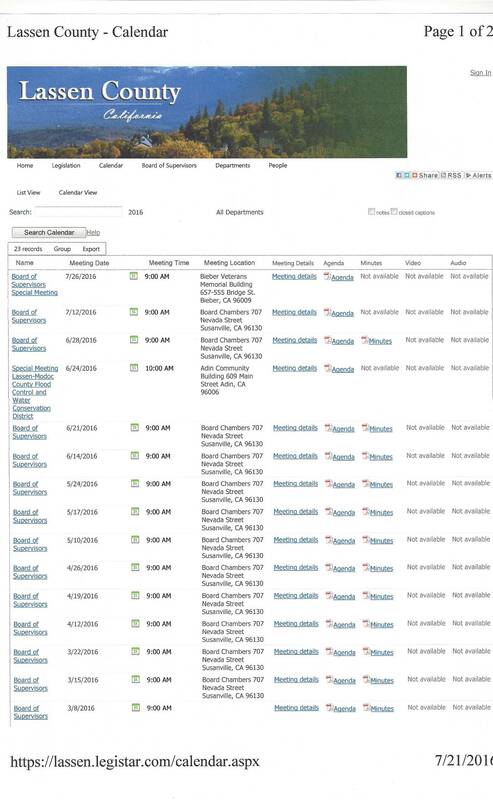 When public agencies hide issues in the Consent Calendar that are not "routine in nature", they have something to hide. When an agenda item is purposely vague to the point the public is mis-informed as to the real issue, they have something to hide. When a closed session is placed on the agenda as "time certain"
The Brown Act can be an awful nuisance for those public officials that believe they have the right to decide what the public needs to know. 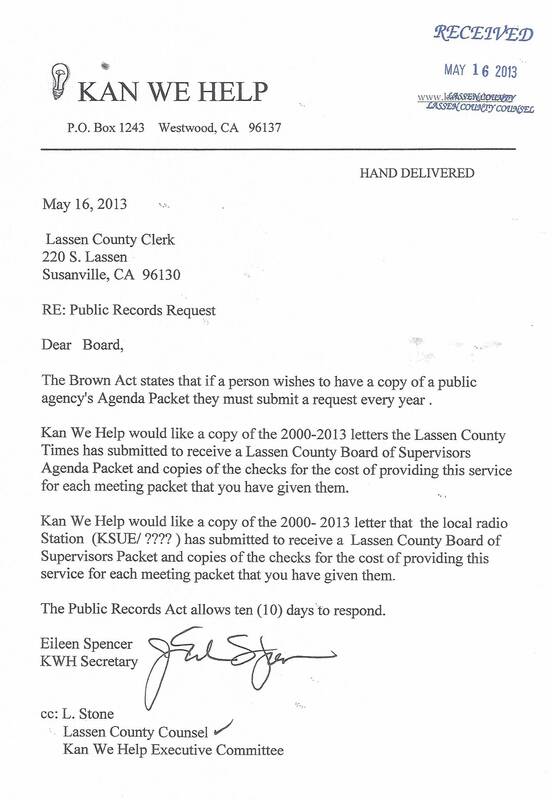 On May 14, 2013, Kan We Help requested a copy of the Lassen County Board of Supervisors Agenda Packet under Section 54954.1 of the Brown Act. This section allows anyone to request a copy of the Agenda Packet distributed to the Board. 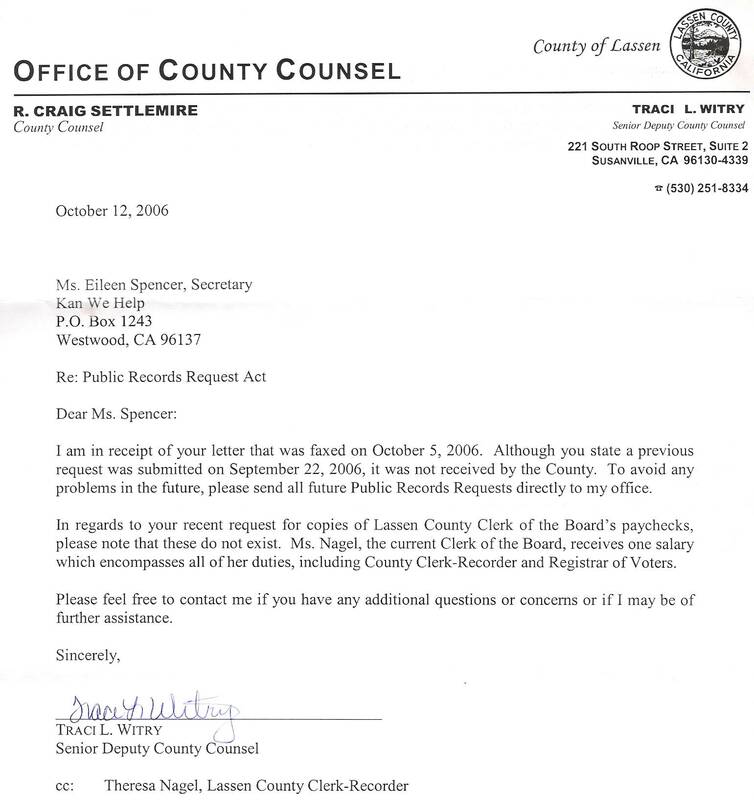 The County Clerk wants to know "why" Kan We Help wants a copy. The County Clerk cannot ask why. The right to ask for a copy of the Agenda Packet is law. 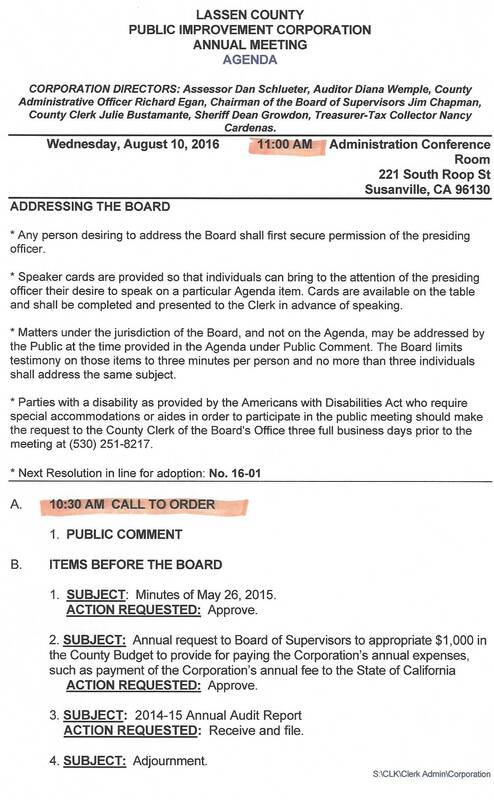 To further impede the process and discourage the public from their right to have a copy, Julie Bustamante, claims that she can charge $148 for a copy of the Board Agenda packet. 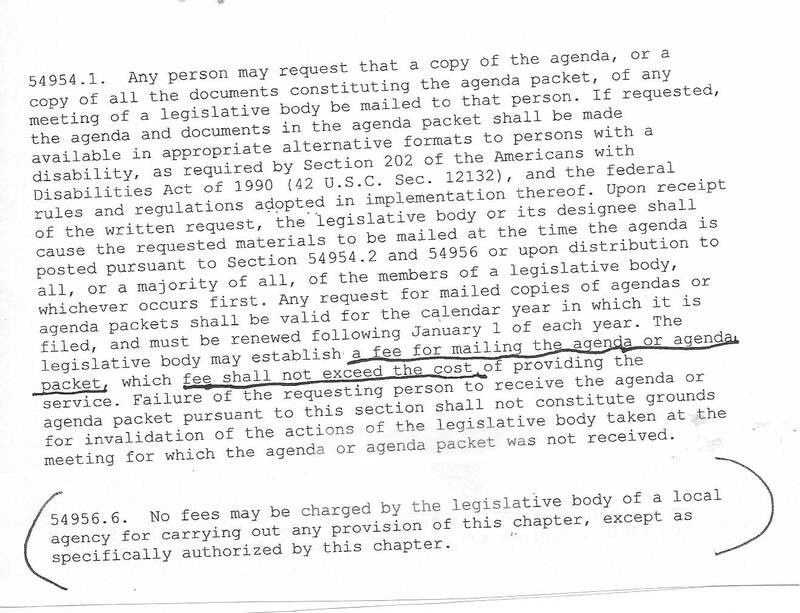 The Brown Act only requires a written request for a copy of the Agenda Packet and allows the public agency to recover the mailing cost if the public member wishes it mailed. 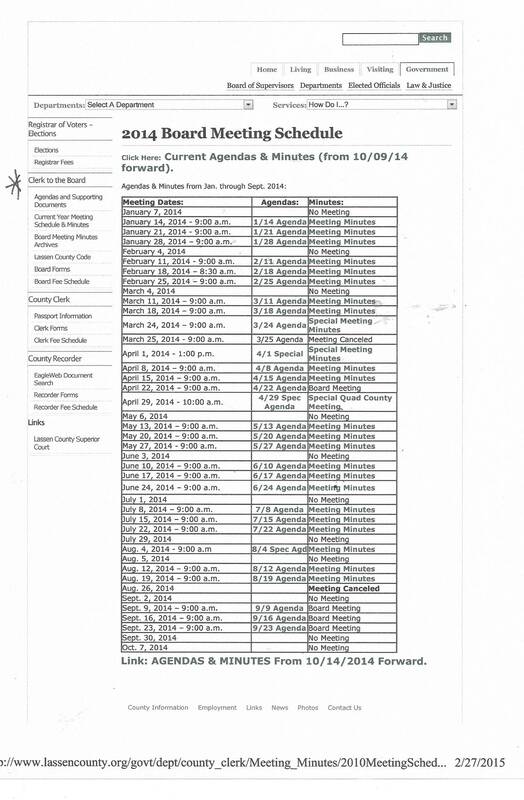 All public Board Agendas and Agenda Packets are free for the asking, to anyone. California Election Code states the Lassen County Clerk has 30 days from the Courts ruling (April 16) to certify the Recall Petitions signatures. 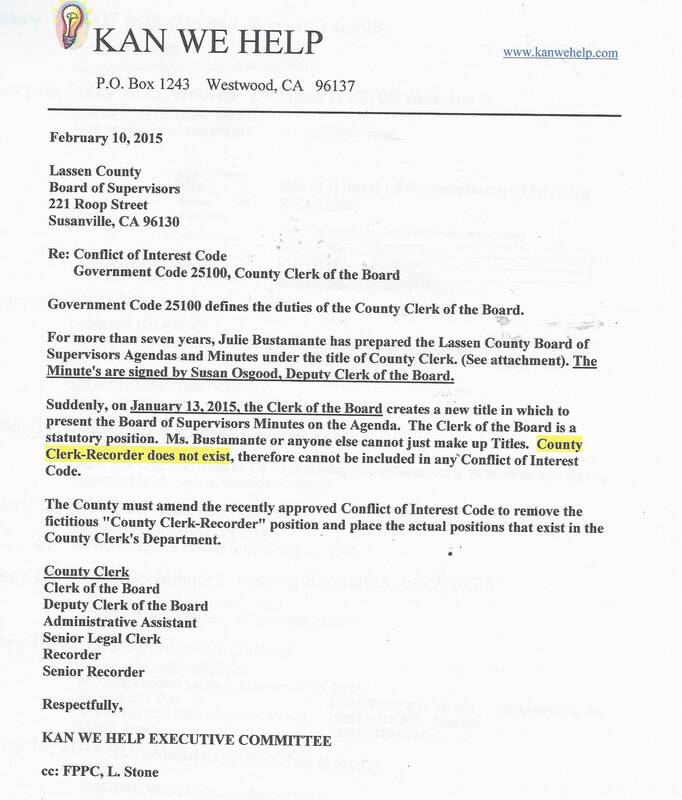 Due to the fact the Lassen County Clerk floated several signature requirements to the petition proponents, the Court ordered Bustamante to state a number that she would have to comply with. County Clerk Julie Bustamante gave the Court 596 signatures that were needed to certify the Jack Hanson Recall Petition. The Election Code states that 25% of registered voters, in Supervisor Jack Hanson's District 5, need to sign the Recall Petition. The Proponents of the Jack Hanson Recall collected over 700 signatures. Currently there are 2,521 registered voters in District 5. 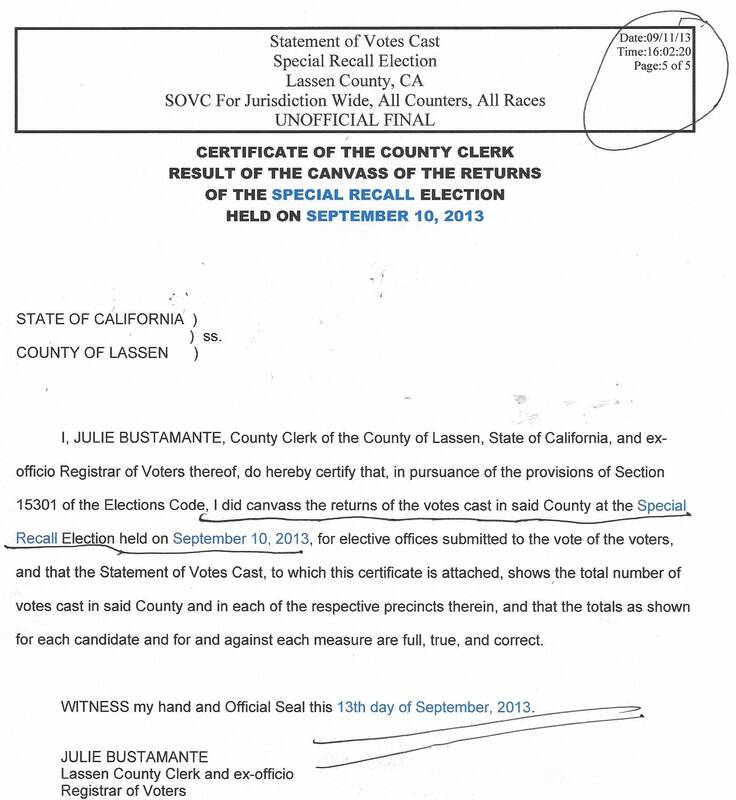 If County Clerk Julie Bustamante does not issue a Certificate of Sufficiency by May 29, 2013, the Proponents have 21 days to review Bustamante's challenged signatures. 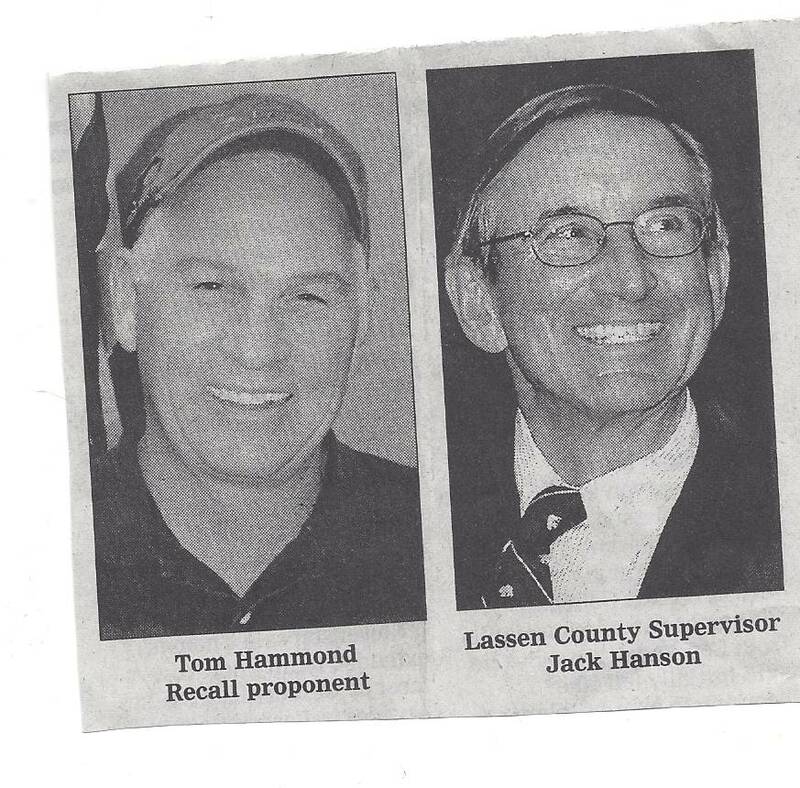 If the Jack Hanson Recall is successful then the Successor with the highest number of votes wins the remainder of Hanson's term. 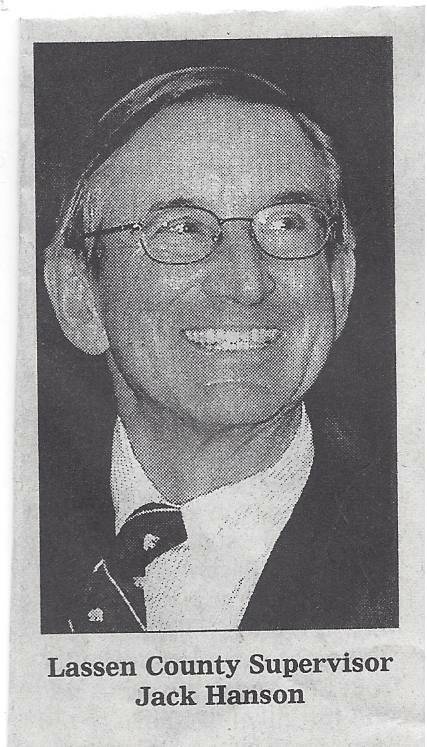 Jack Hanson was elected [with no opposition] in 2010. Jack Hanson received 889 votes. 932 votes were cast. 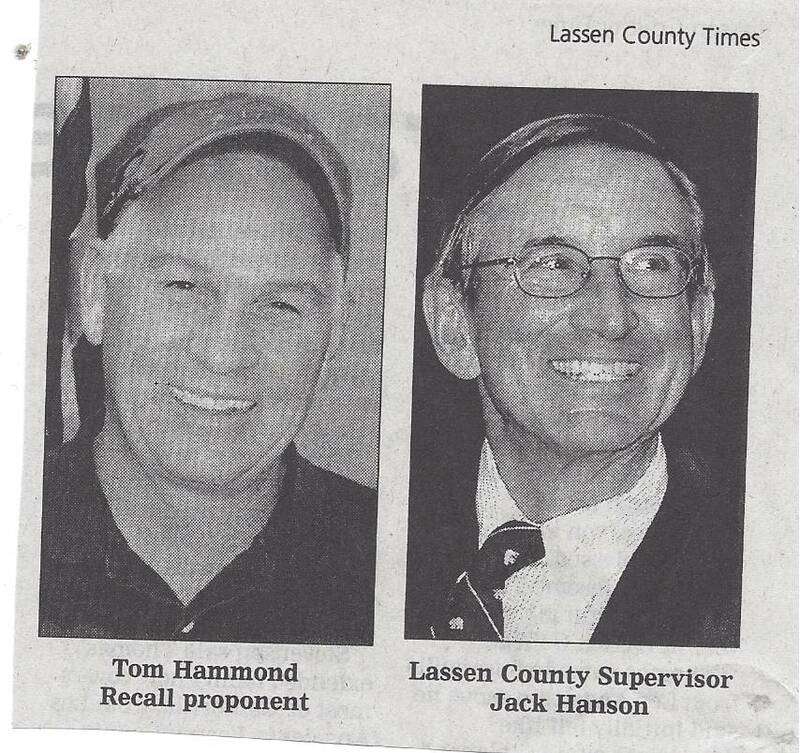 County Counsel regurgitated evidence that had already been submitted and considered by Judge Ervin in his Tentative Ruling to grant Mr. Hammond his Writ of Mandate allowing the 70 page Recall of Lassen County Supervisor Jack Hanson to proceed. Vander Ploeg could offer the Court no evidence.. 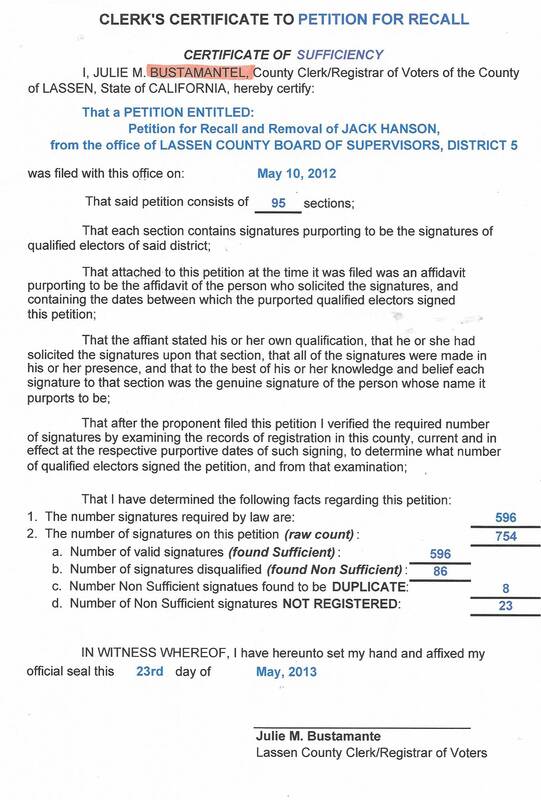 The Jack Hanson Recall Petitions were rejected by Lassen County Clerk Julie Bustamante for "minuscule" reasons. Mr. Hammond's Attorney Stephen King claimed "She had a dog in the race"
Vander Ploeg claimed that Julie Bustamante was highly trained but then Judge Ervin pointed out that one of the County's exhibits claimed that Bustamante was inexperienced in processing public petitions. Judge Ervin asked Vander Ploeg "HOW DID THE PETITIONS MIS-LEAD THE PUBLIC". Vander Ploeg answered simply "THEY WERE ILLEGAL"
Judge Ervin amended his ruling to clearly state that the Petition needed 596 verified signatures. The County Clerk had changed this number three times. The Court made sure Bustamante could not change it a 4th time. Over 700 signatures were collected by the Group. Judge Ervin took the matter under submission. 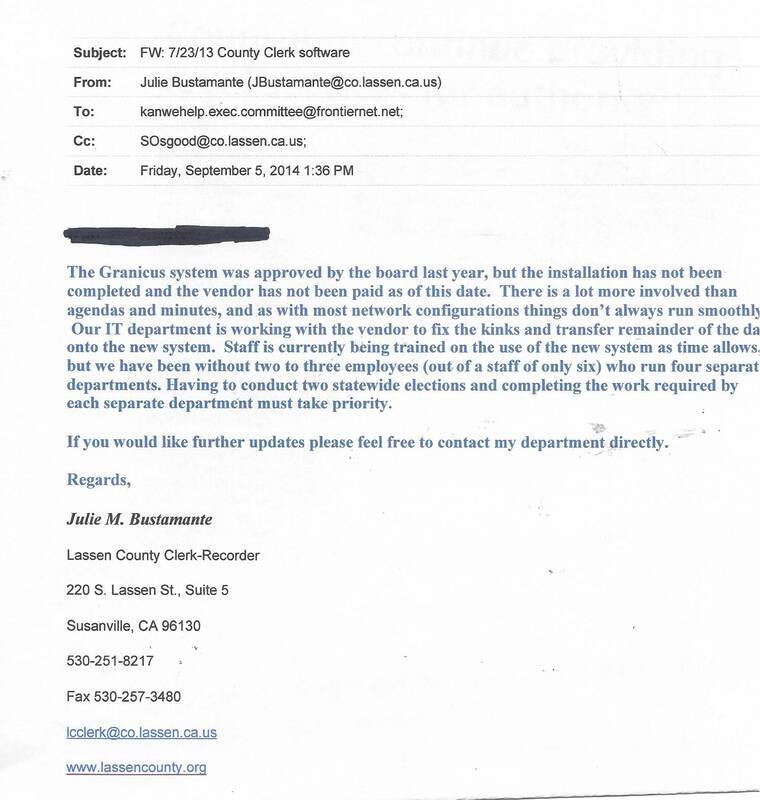 Kan We Help attempted to file a petition to allow only people that were "serviced" by Lassen Municipal Utility District to run for the LMUD Board. Fred Nagel sits on the LMUD Board but resides and votes within the Plumas Sierra Rural Electric District. KWH's petition was rejected three times, by the County Clerk, due to extreme minuscule technicalities. Each time changes were made the County Clerk would come up with another frivolous reason to reject the petitions. In 2002, Bustamante's daughter, Nicole,refused to place the election audit tape in the sealed bag with the ballots. She walked around the Westwood precinct for 21 minutes trying to put the election audit tape in her purse, equipment bags and finally was forced to put the election audit tape in the bag of ballots to be sealed. 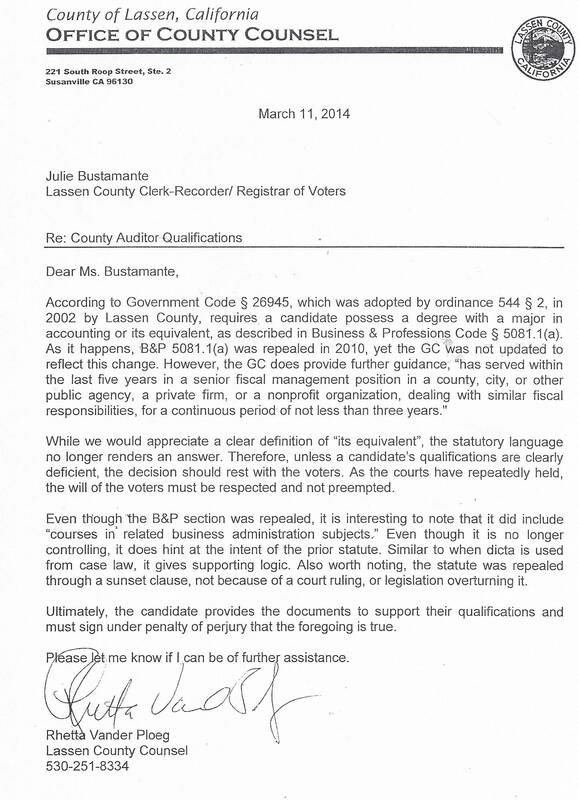 The next hurdle for the Recall Petition is that Bustamante will attempt to disqualify signatures. With Bustamante's history of shenanigans, this process should be closely monitored and challenged if necessary. 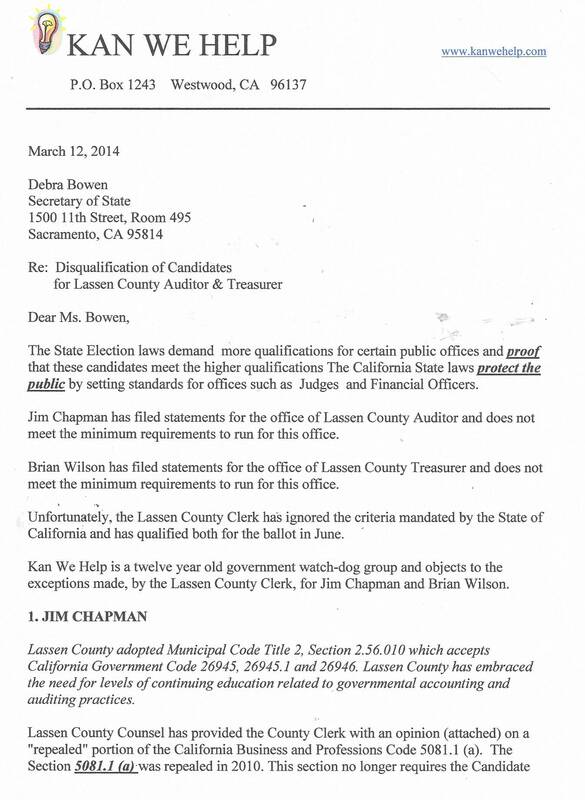 If the County Clerk does not try this, the Recall of Lassen County Supervisor Jack Hanson should proceed. Look at Agenda Item A 2 (2) below. Does the County Clerk know what year it is? 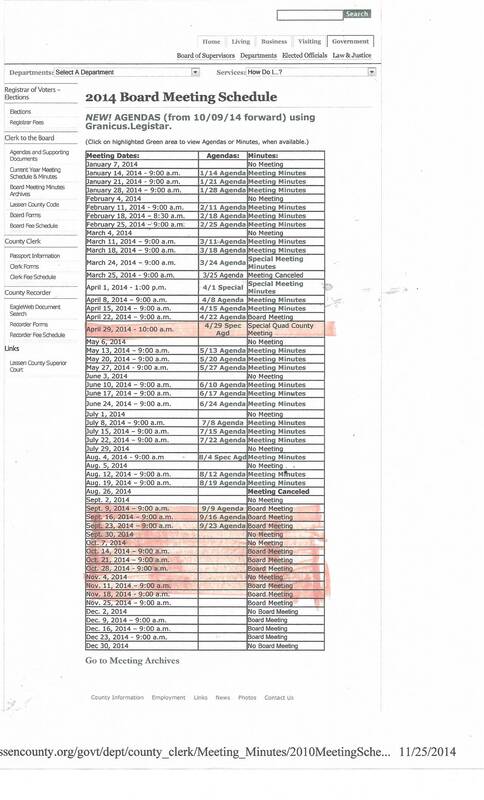 The County Clerk rarely attaches supporting documents and are rarely available on the "Agenda 1" website and the Minutes are hit and miss with big gaps. The public is often surprised when they attend a BOS meeting and Board members start discussing attachments that have not been posted previously. There just hasn't been any consistency, in the past. Currently Agenda 1 does not allow the public to print the agenda. Curiously, the attachments, which are mostly not available, are printable. Agenda 2 allows you to print the Agendas and Minutes, but not the attachments. Some Minutes are available but there is no rhyme or reason to the Minutes that are posted. SUGGESTION 1: Keep "Agenda 1", lose the columns to the right and allow the attachments to open within the Agenda simply by clicking on them. This will allow the public to print the Agenda. SUGGESTION 2:Keep "Agenda 2" but add links to each of the alleged documents. Allow all documents to be printed. 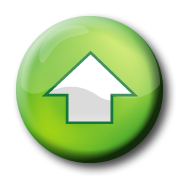 Keep an Archives link on the same page for past Agendas and Minutes. The County needs only one website THAT WORKS FOR ALL. THIS MAKES IT EASIER FOR STAFF TO MAINTAIN. 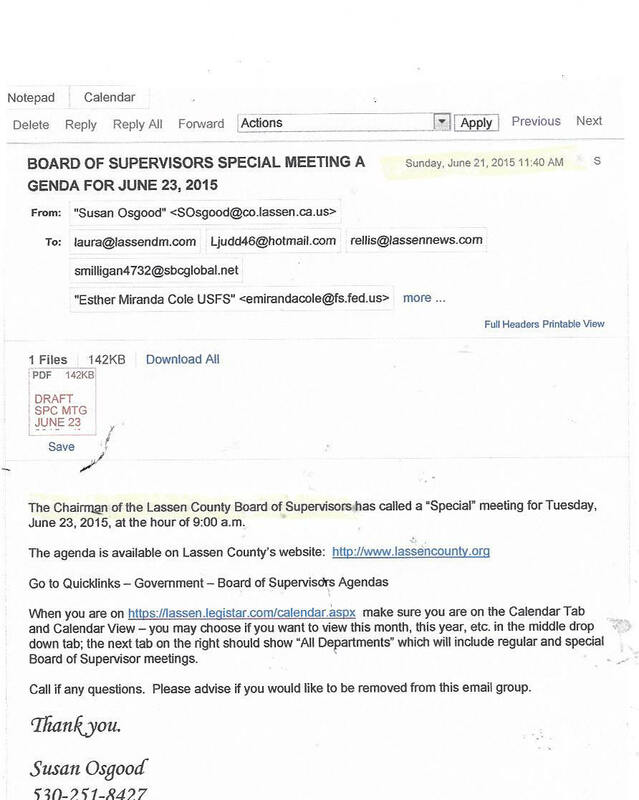 Kan We Help pointed out today that the Lassen County Board of Supervisors Agendas and Meeting Minutes have not been accessible to the public. The public has been able to request Agendas by e-mail but the general public did not have access. After receiving the Kan We Help letter today, the 2013 Calendar was posted ....today....and the 2012 Minutes were updated.....nothing short of amazing. Thank you.